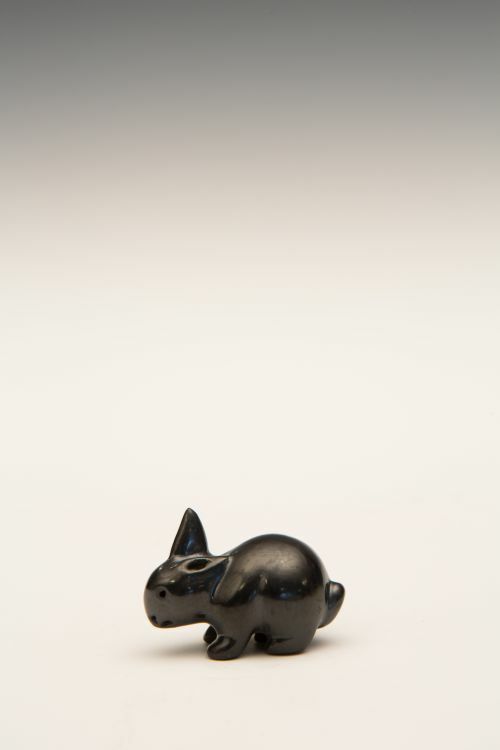 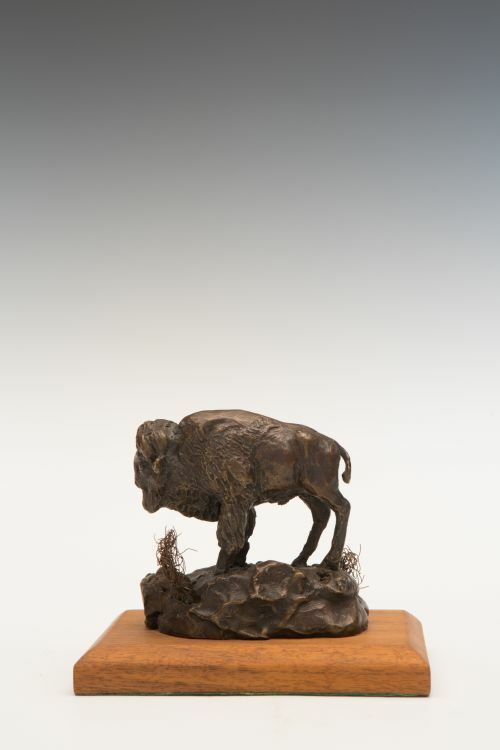 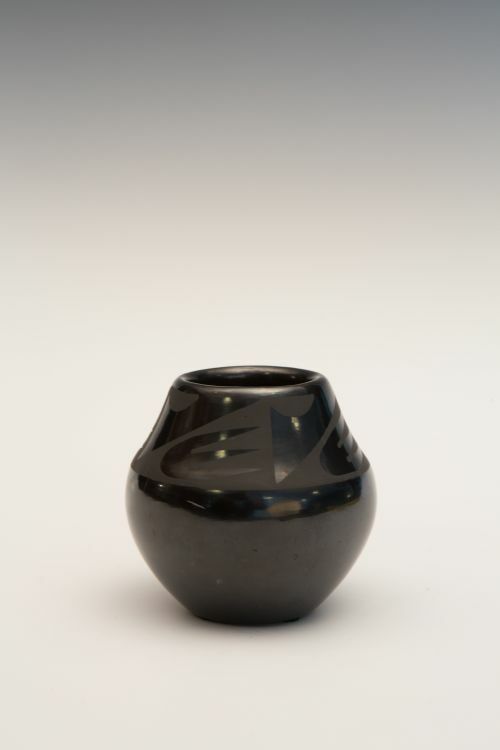 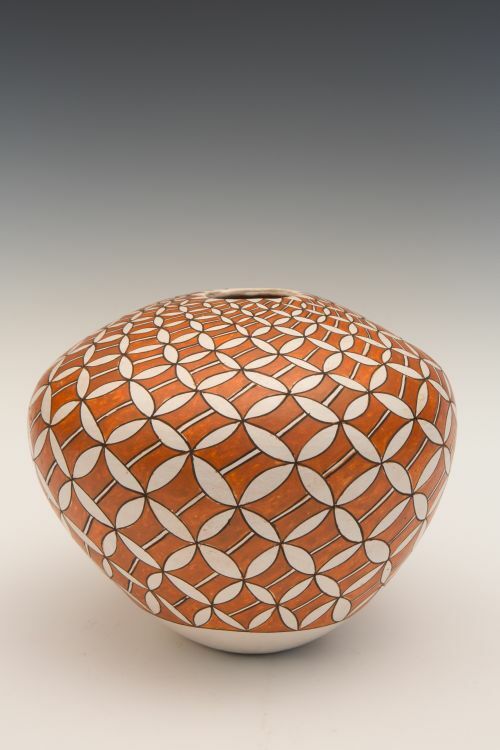 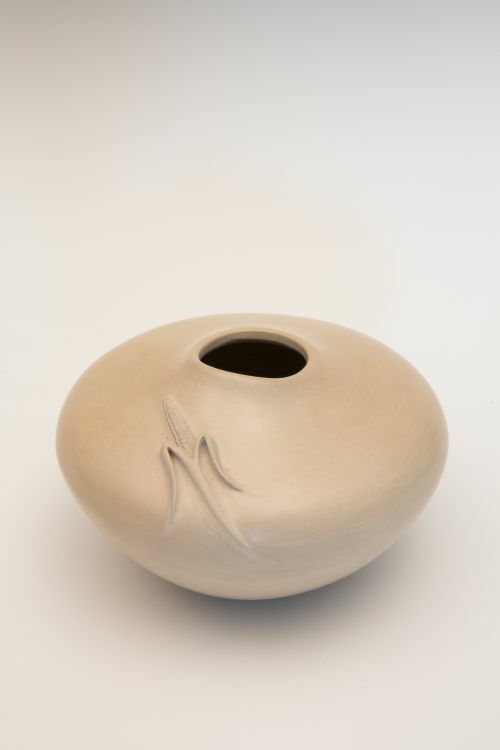 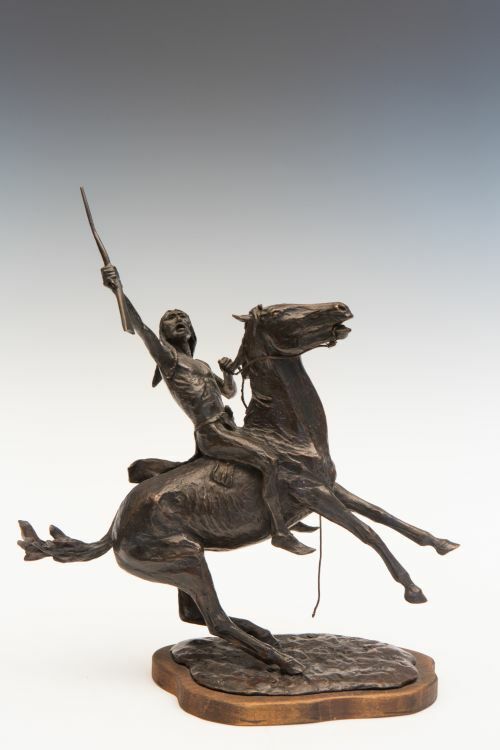 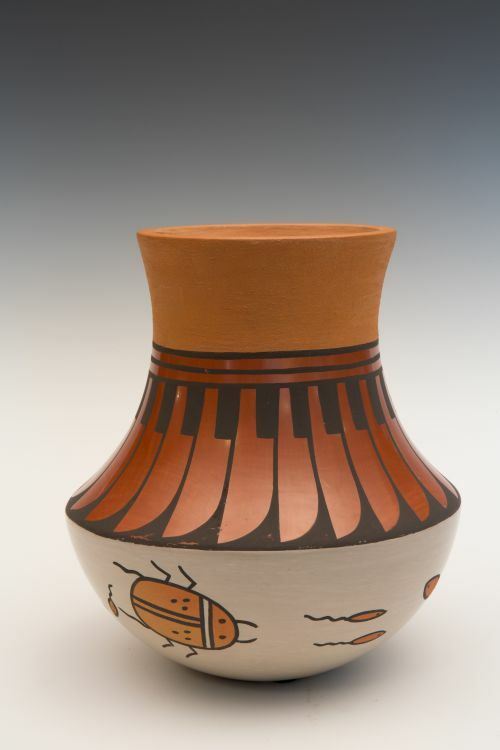 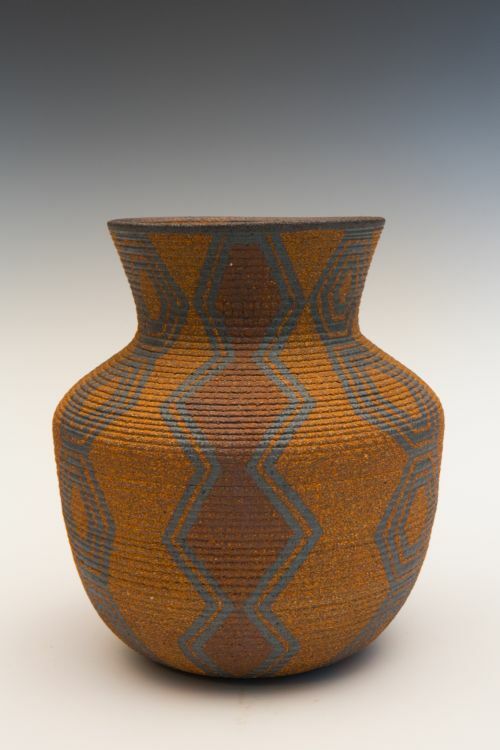 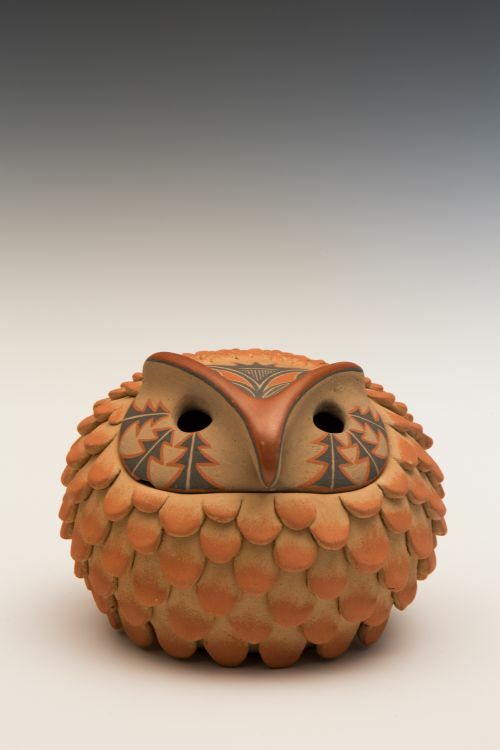 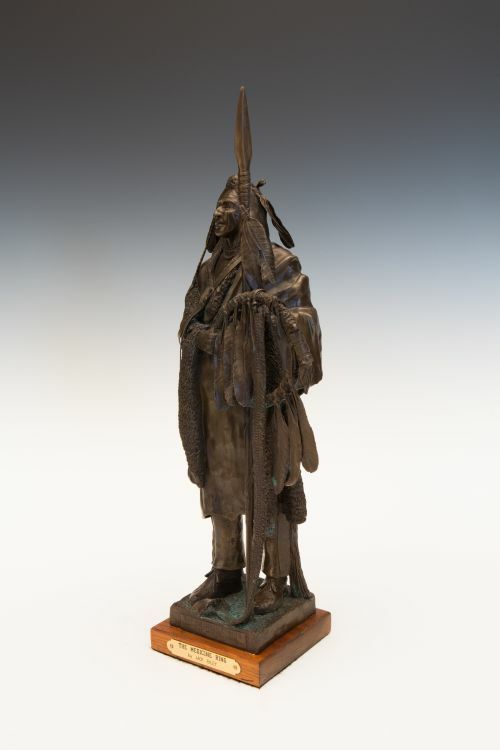 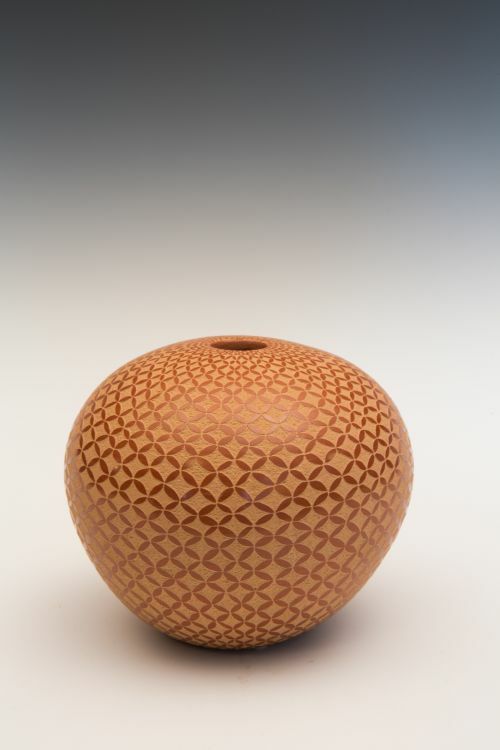 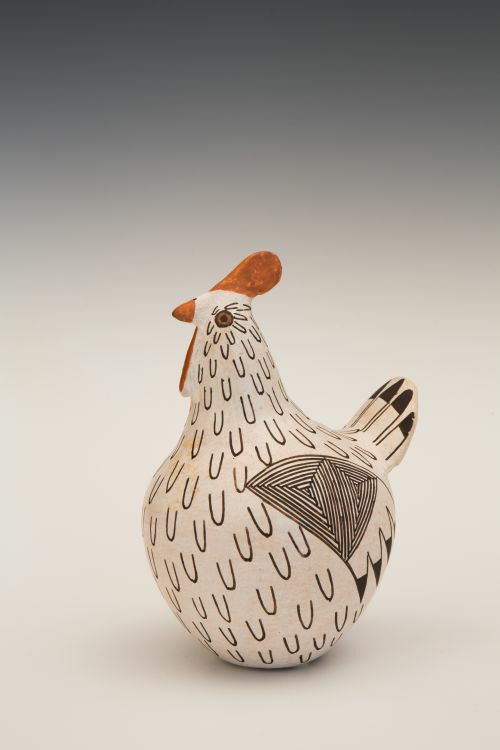 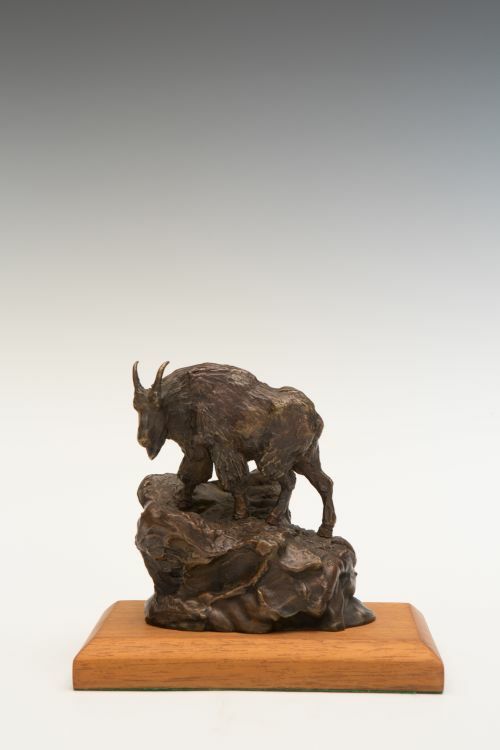 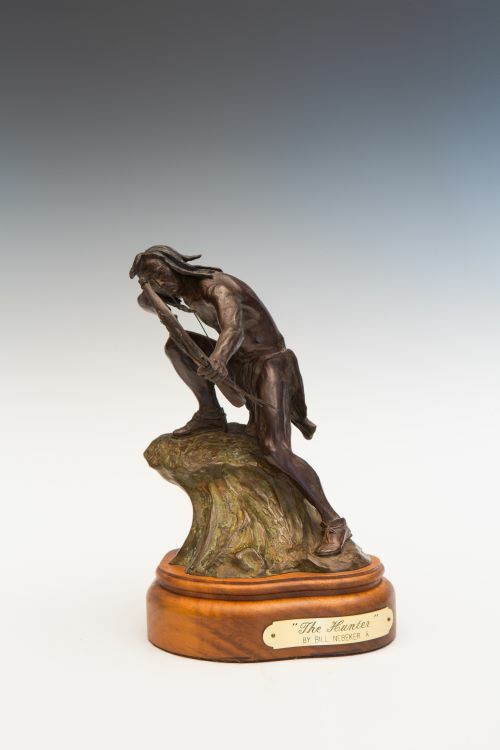 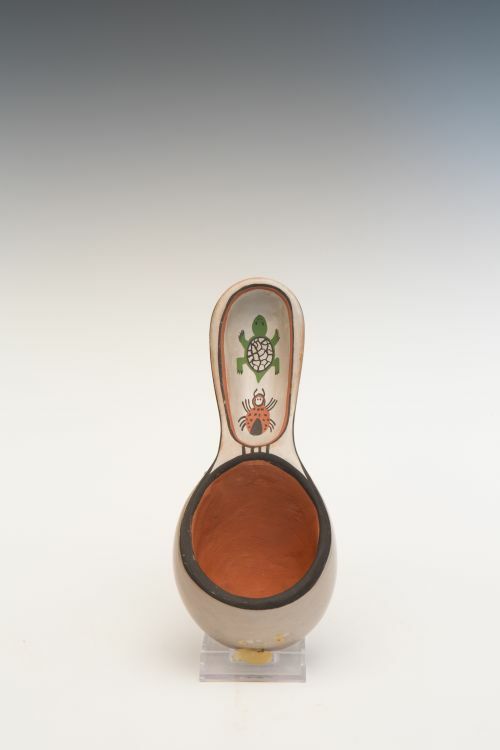 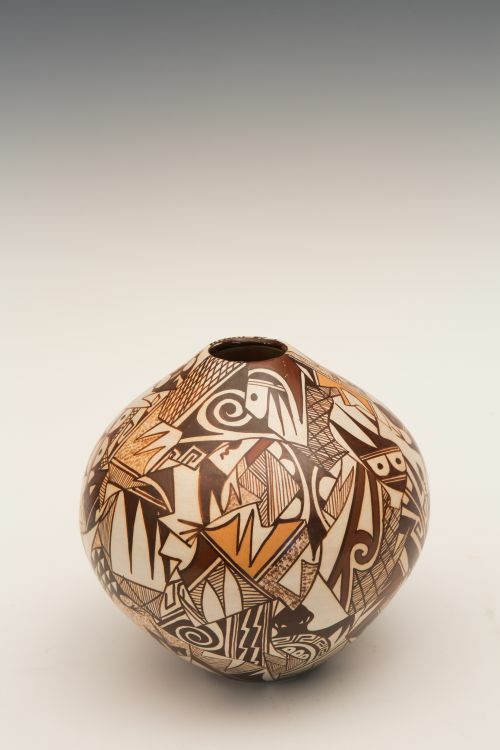 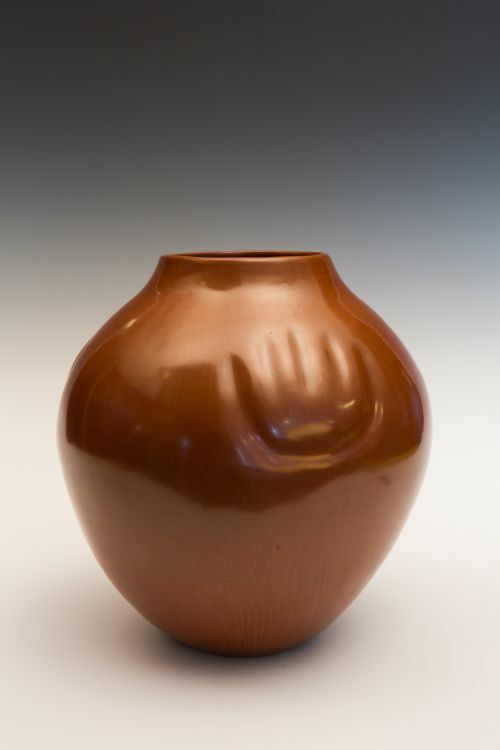 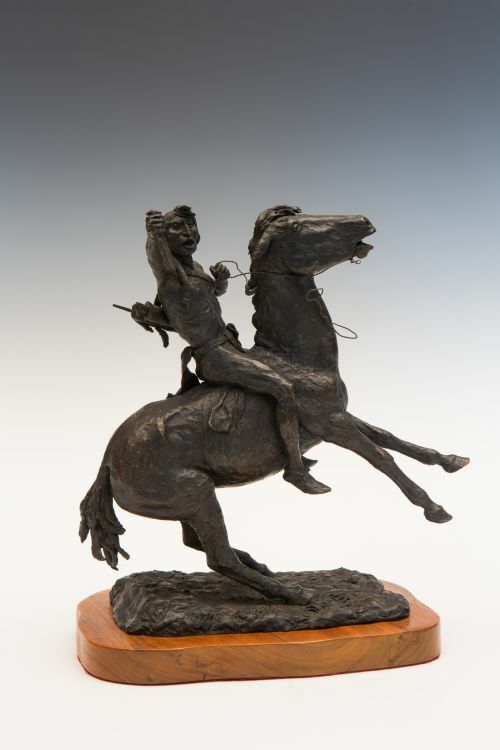 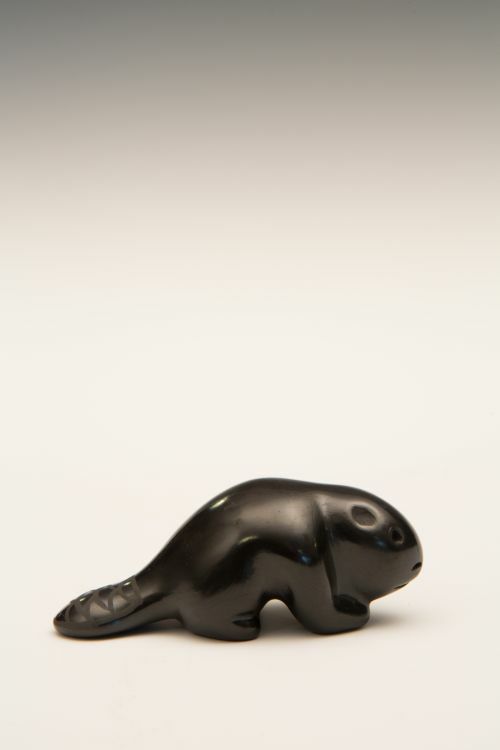 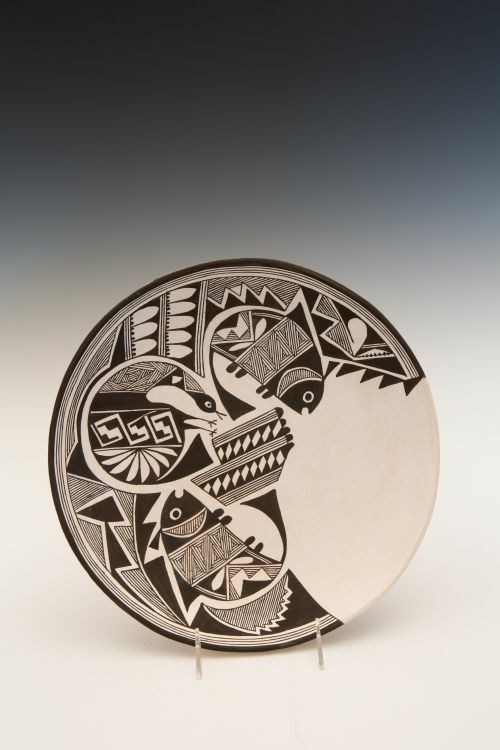 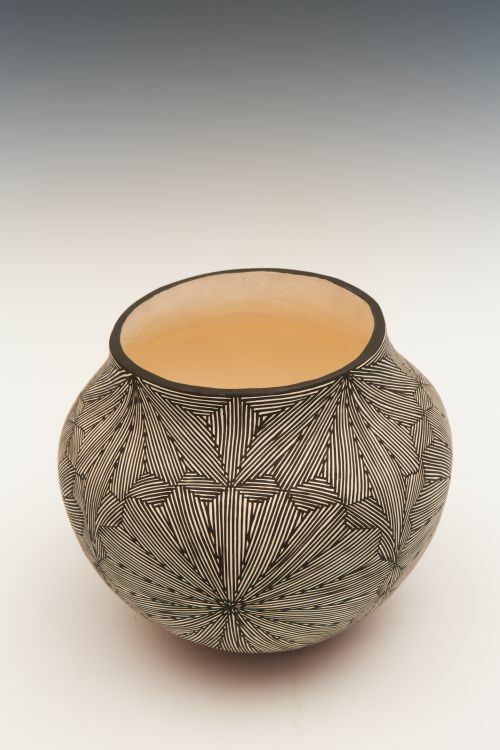 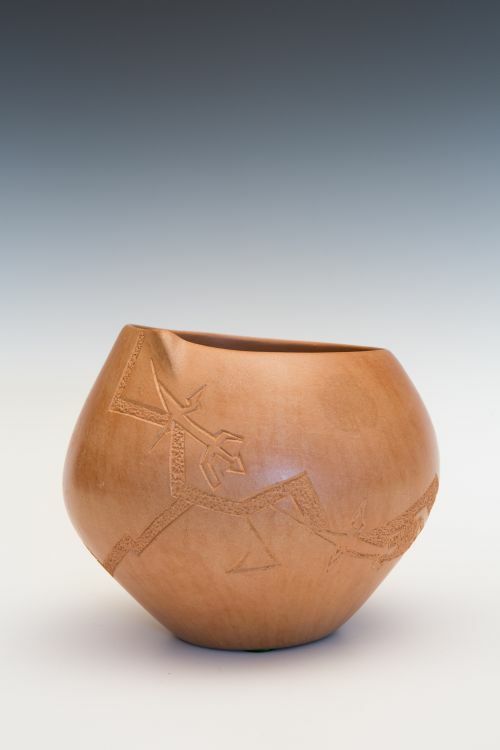 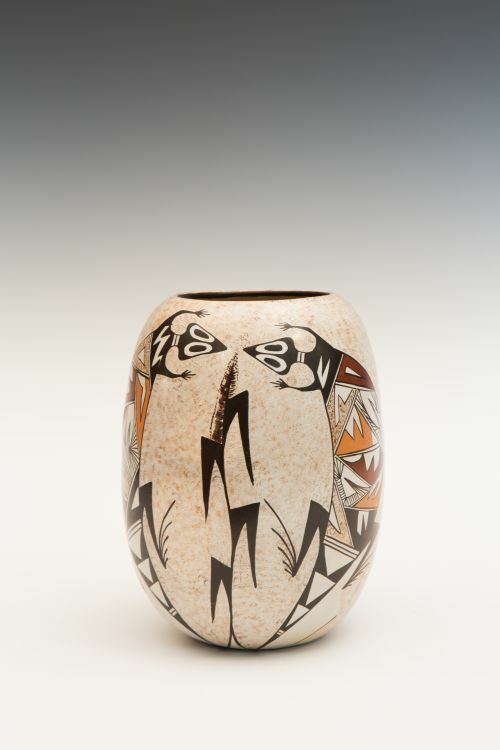 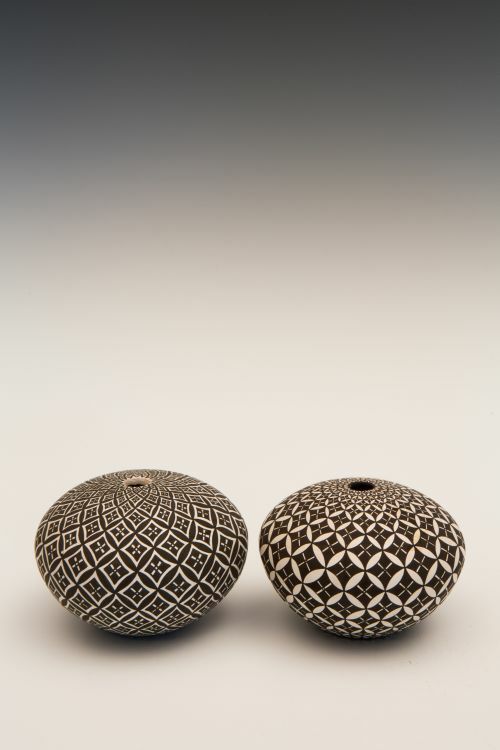 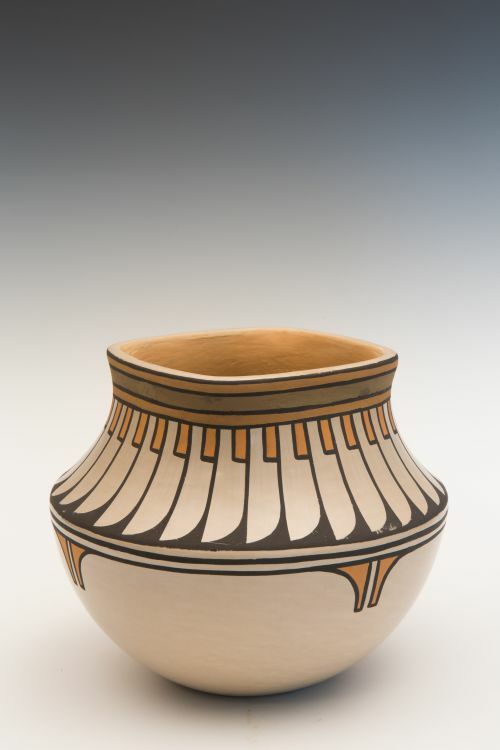 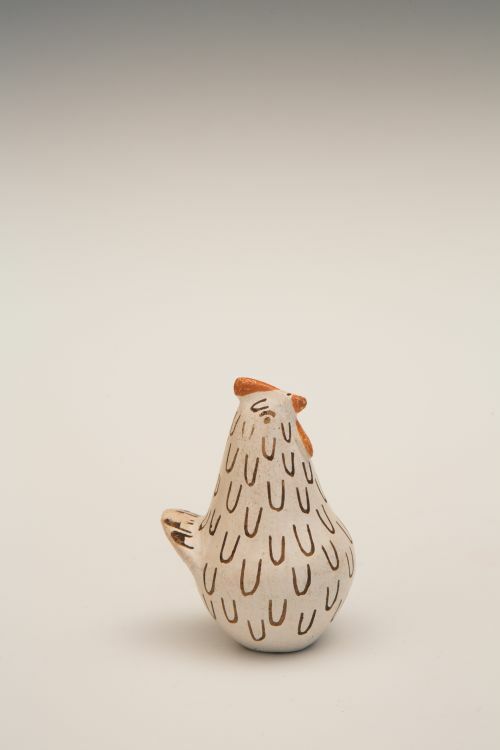 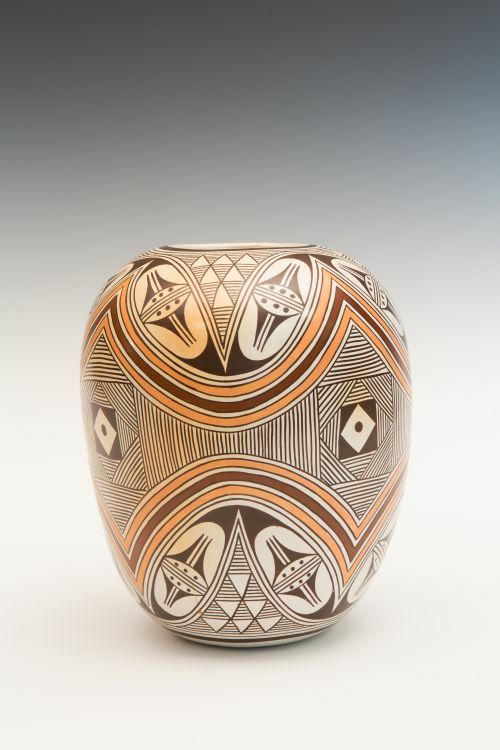 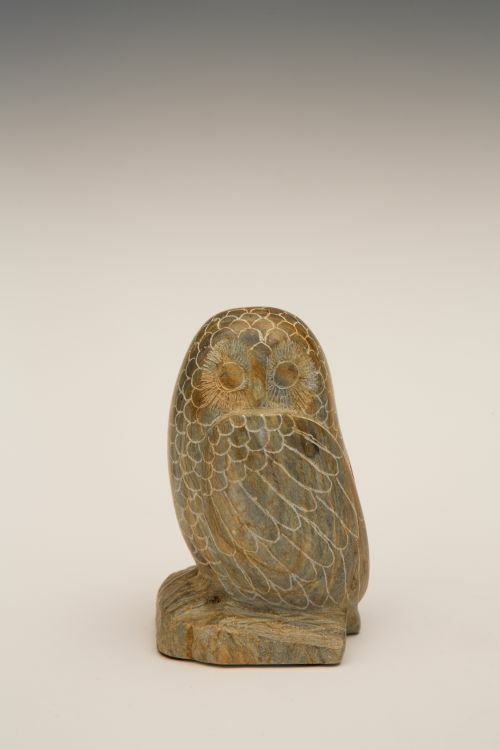 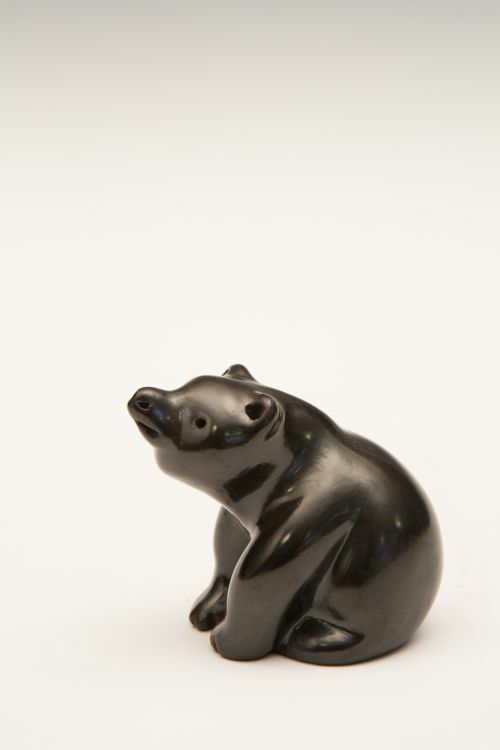 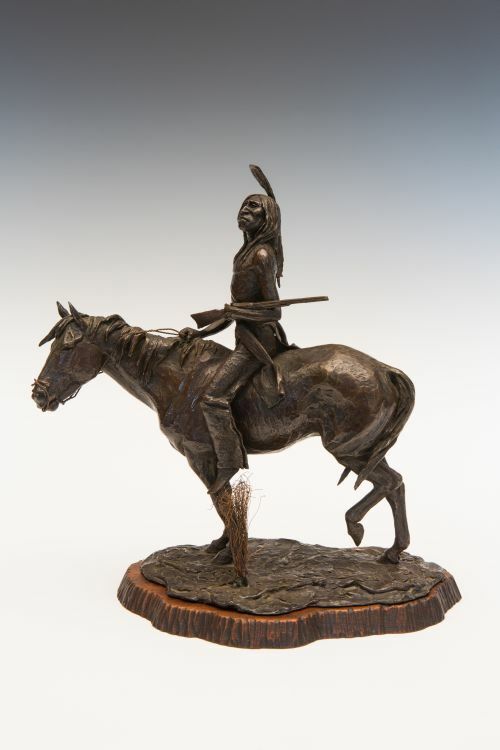 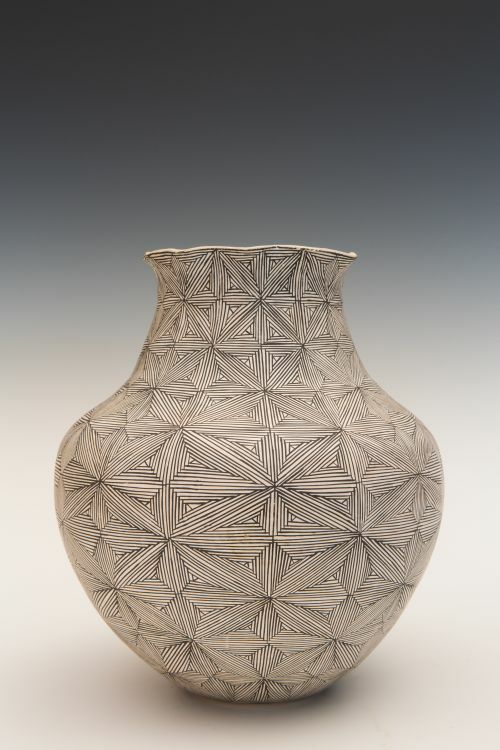 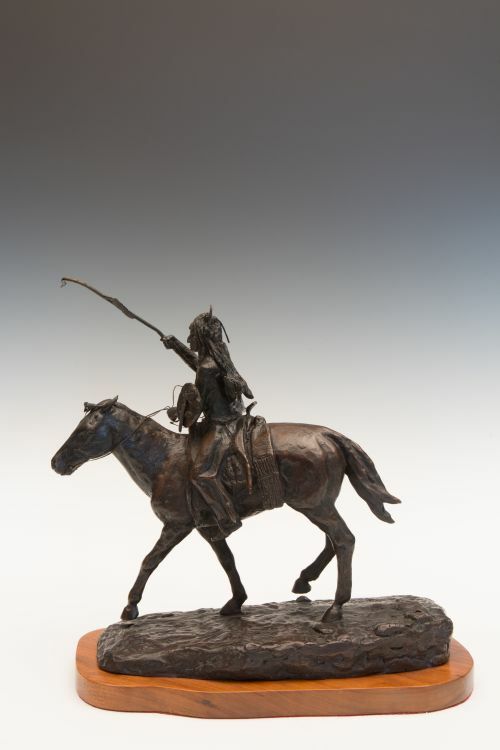 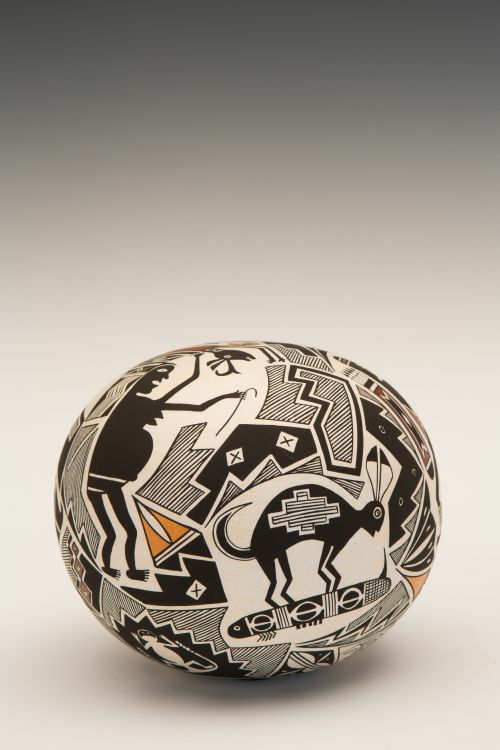 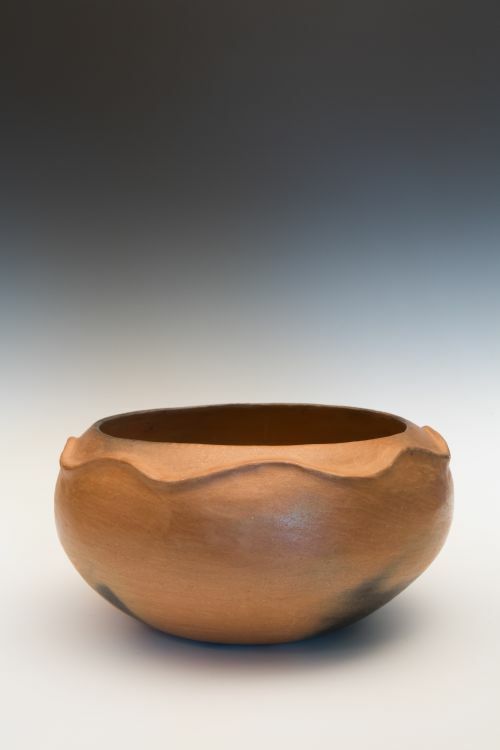 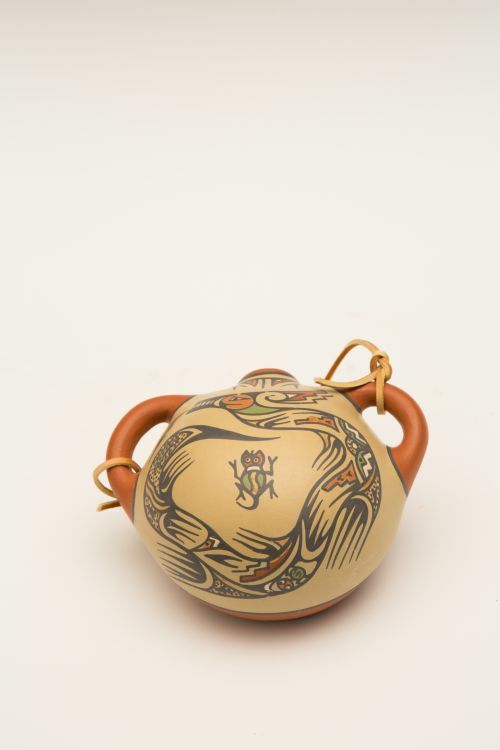 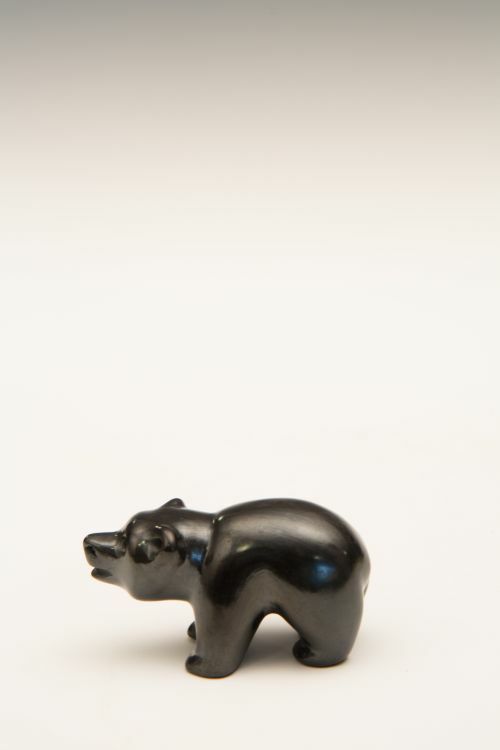 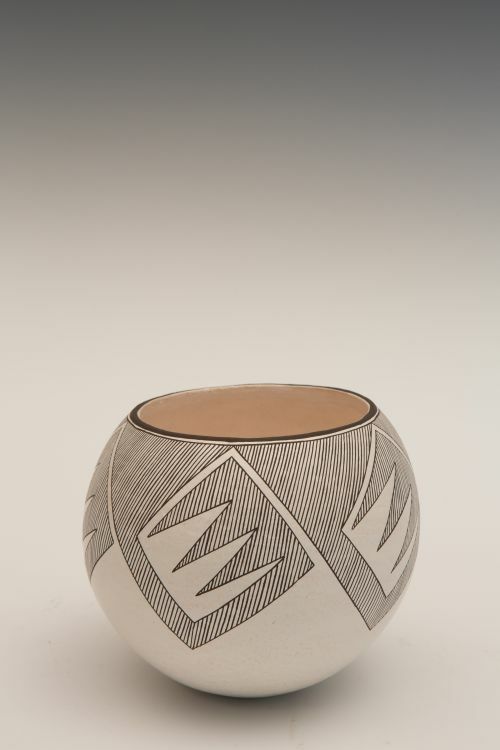 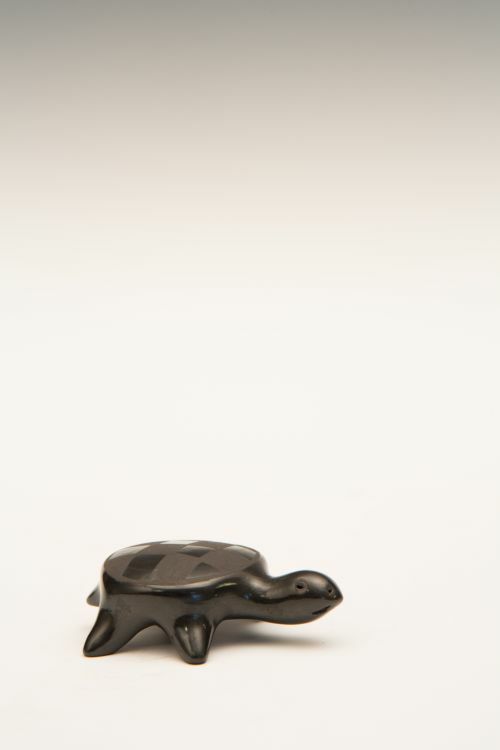 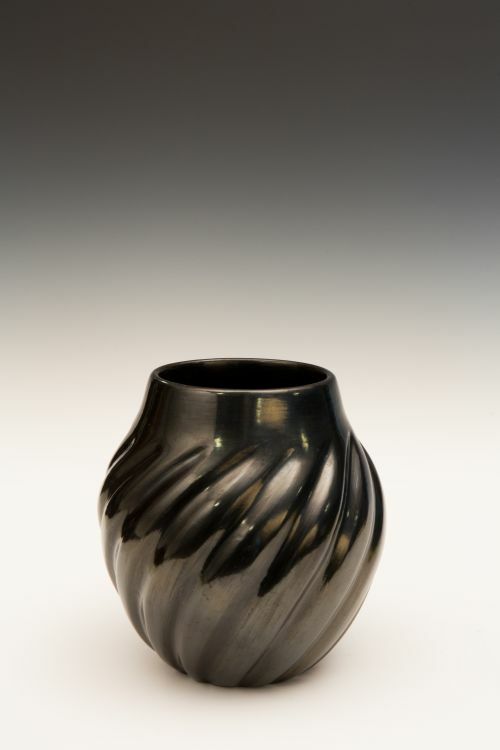 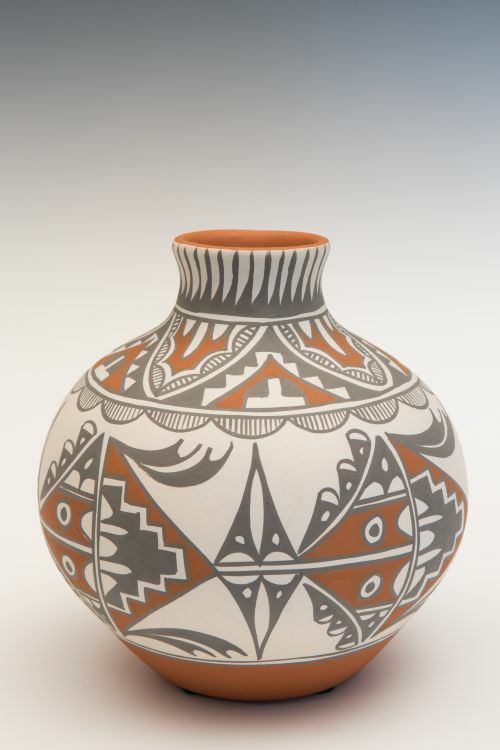 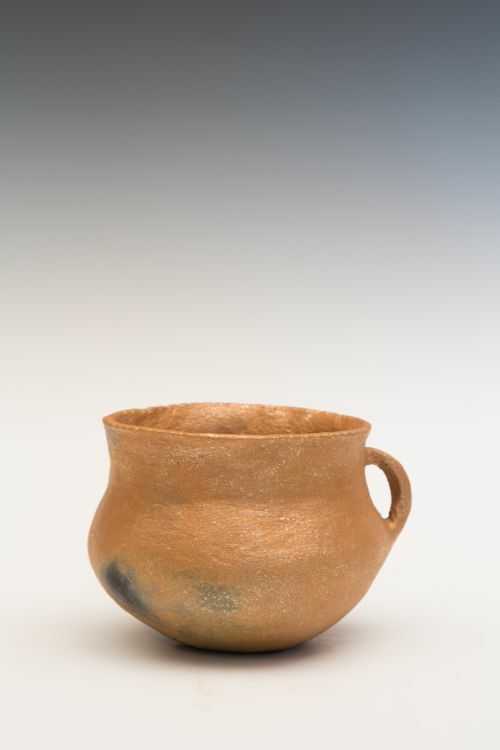 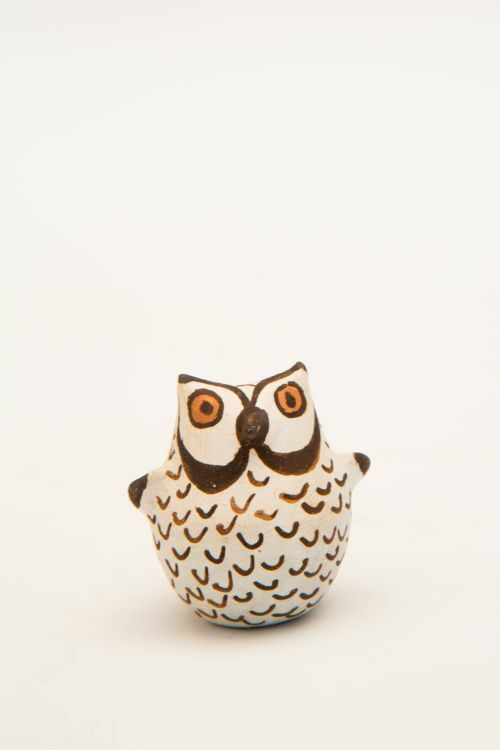 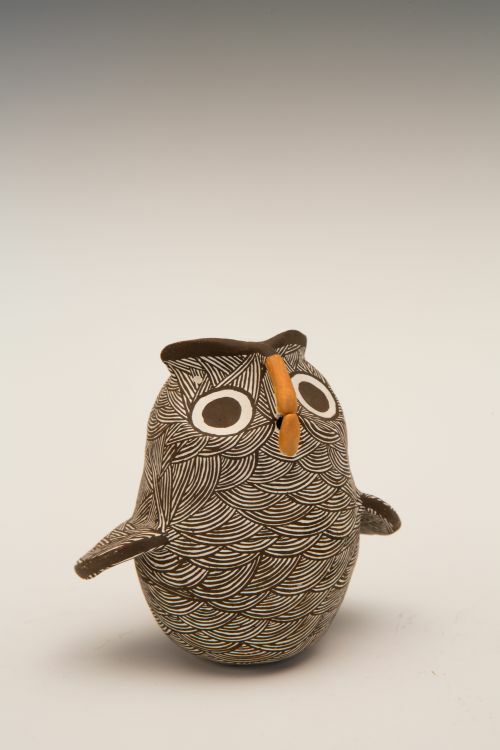 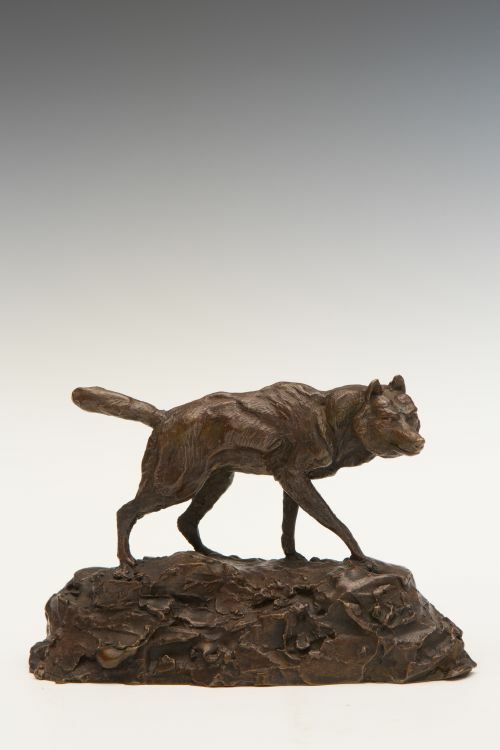 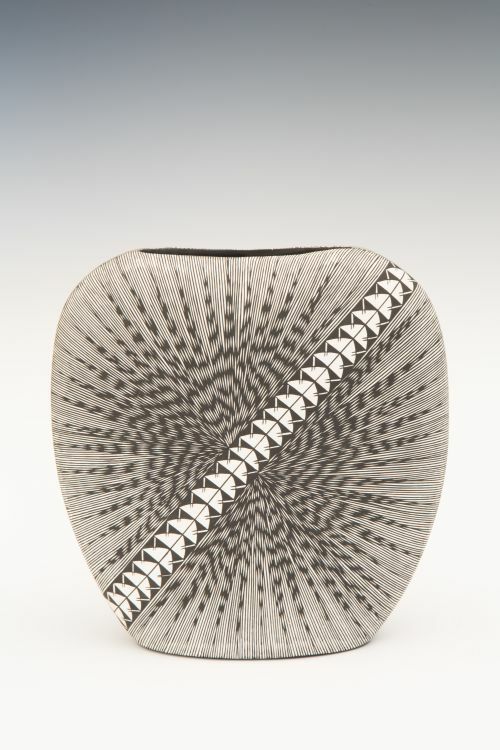 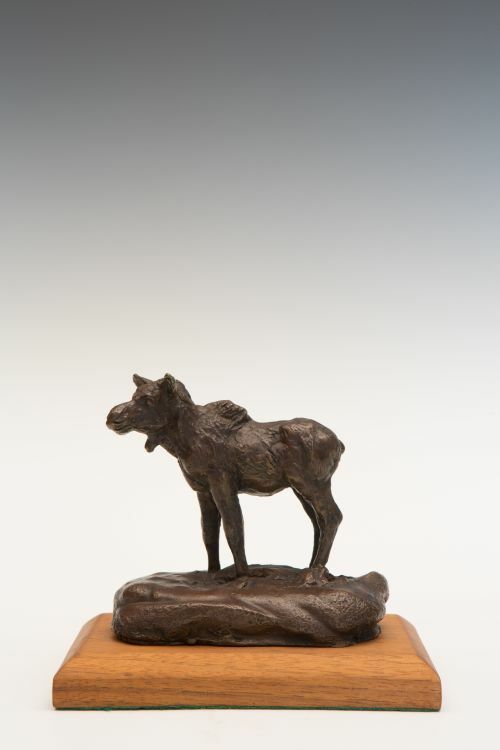 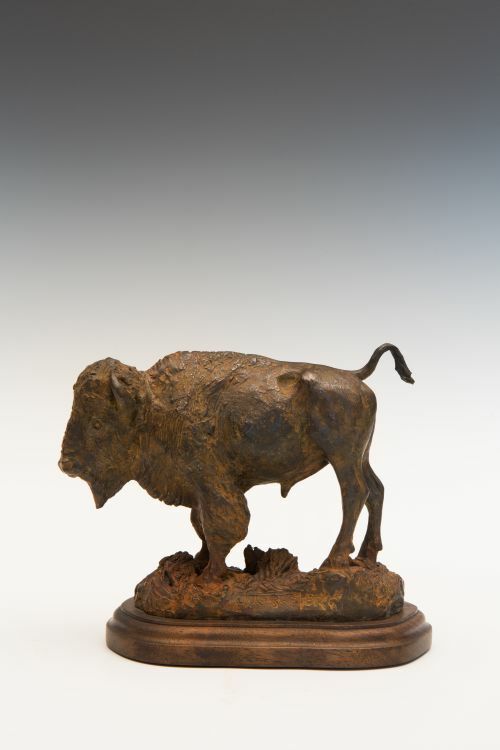 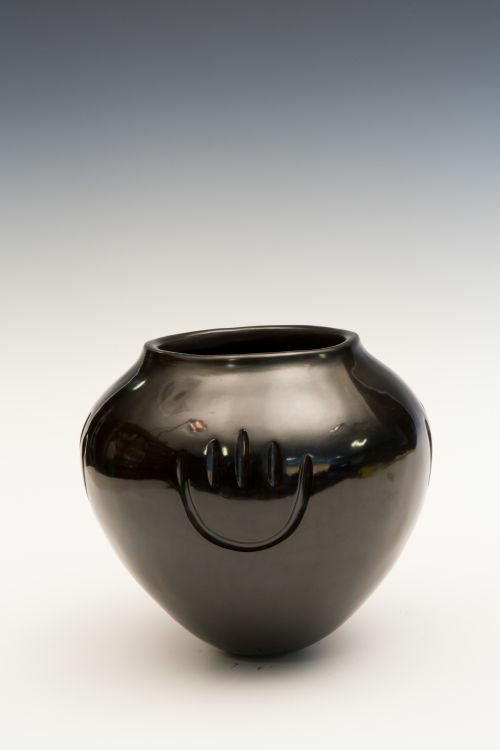 This is a unique twist on traditional Taos pottery. 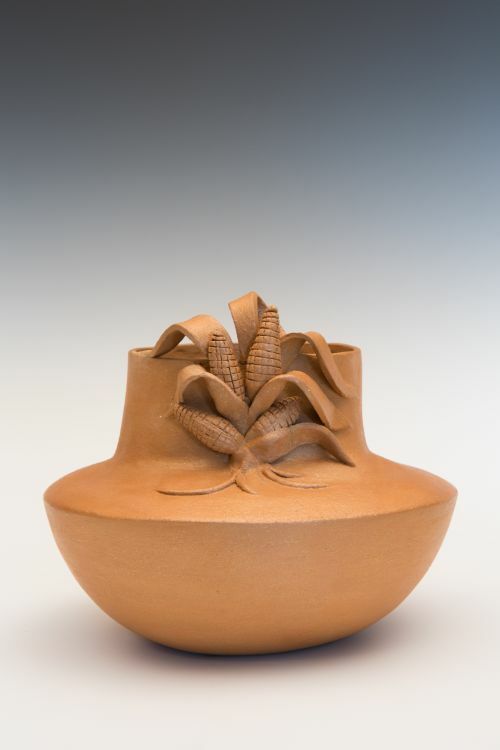 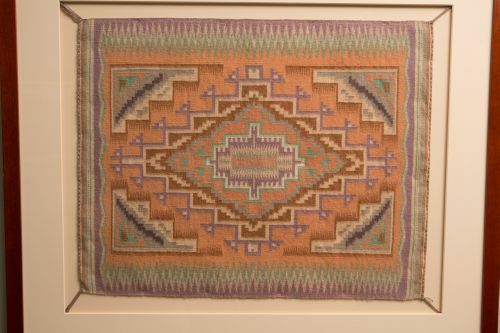 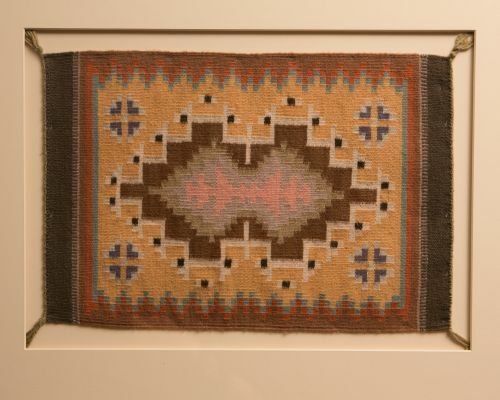 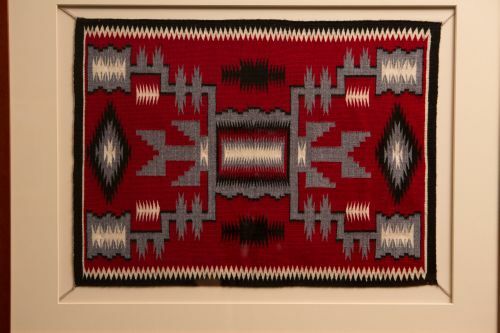 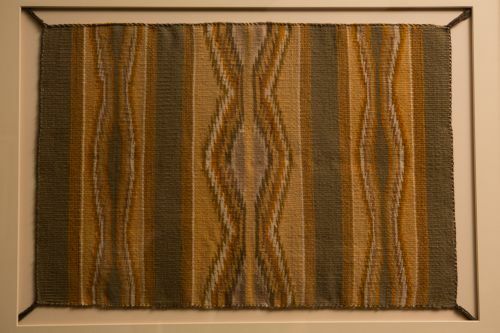 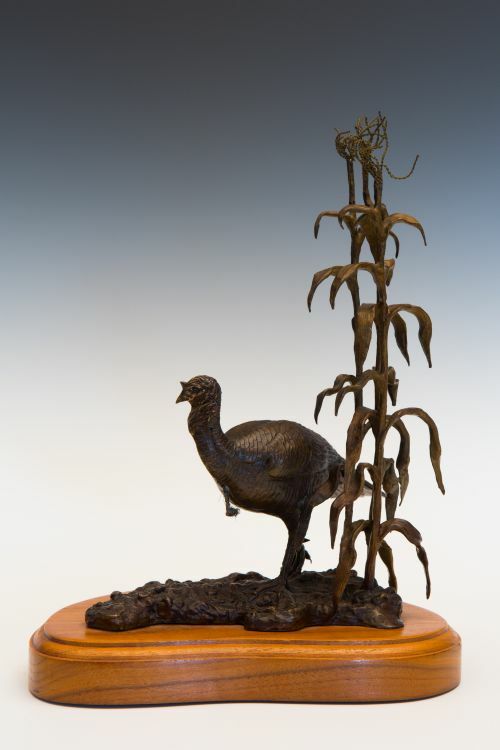 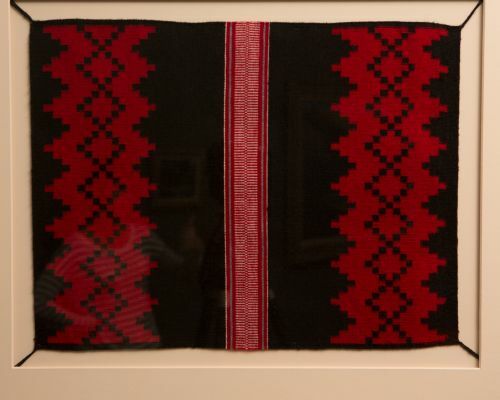 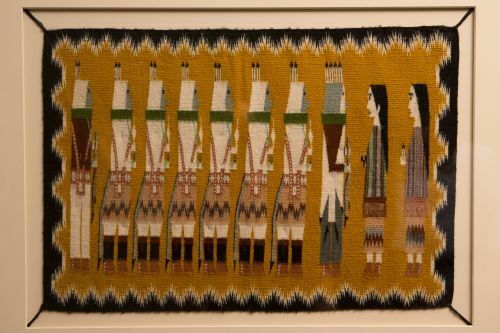 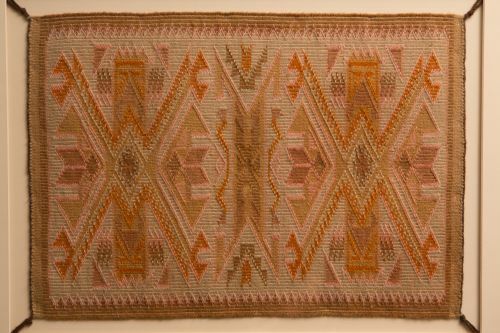 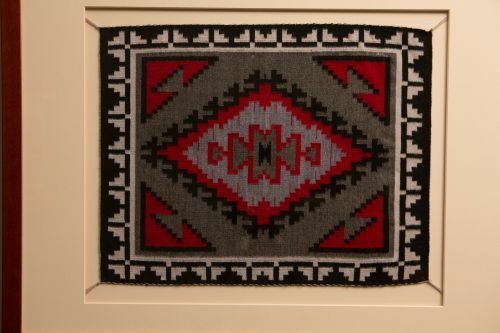 The clay and the absence of any painted surface are traditional Taos pottery hallmarks, but the appliqued corn is Dubray’s own innovation. 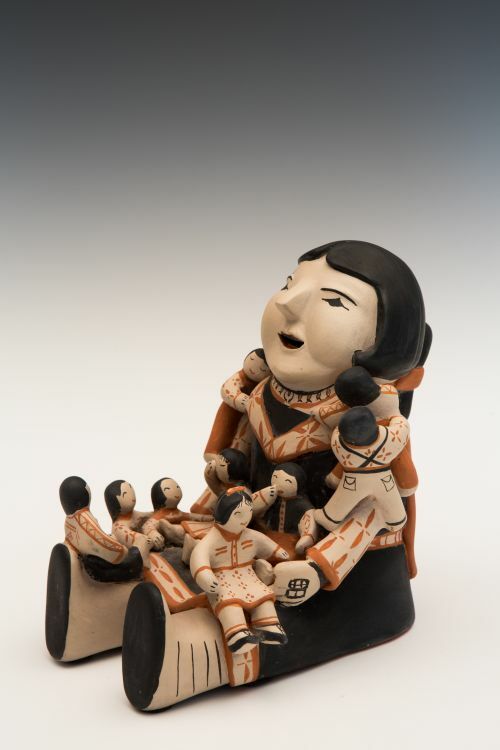 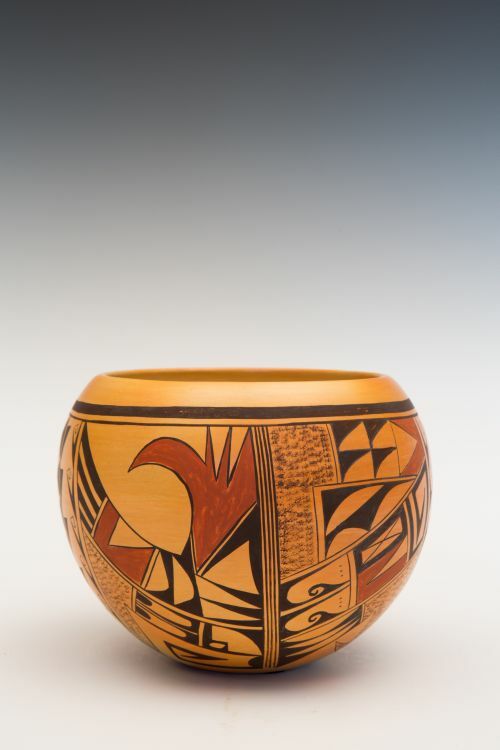 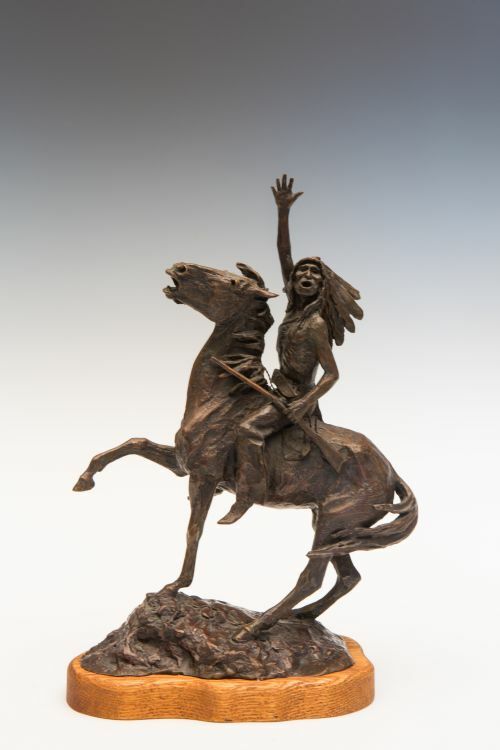 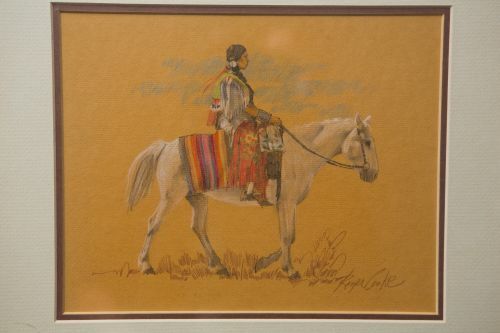 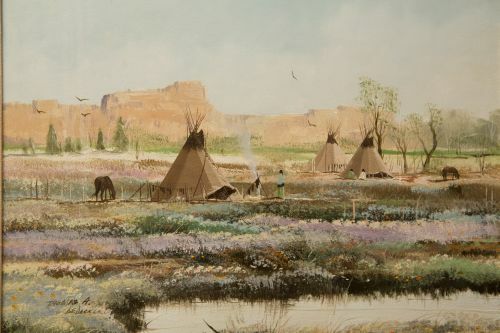 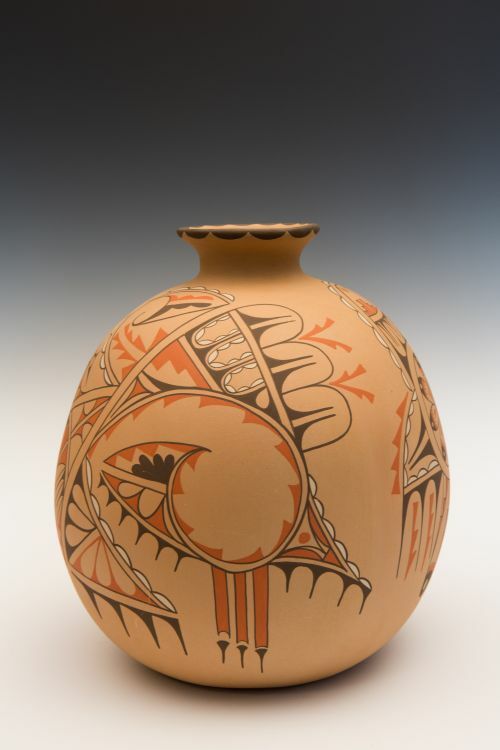 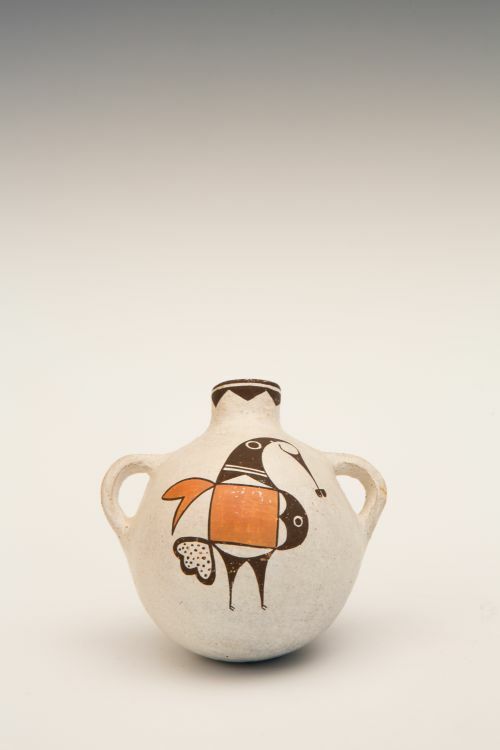 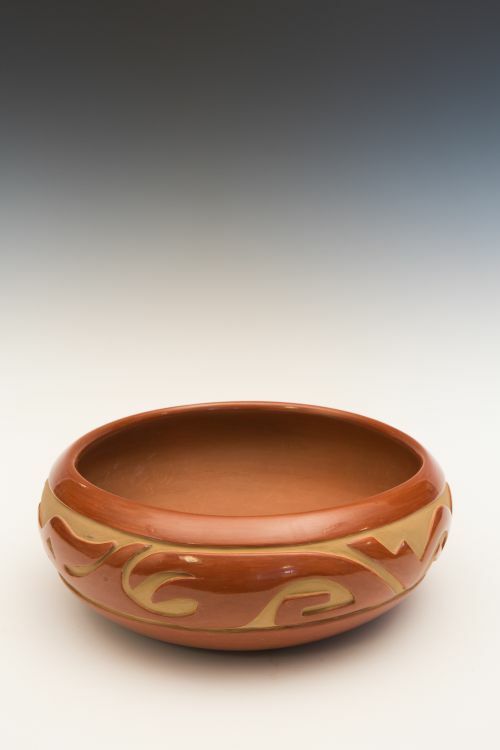 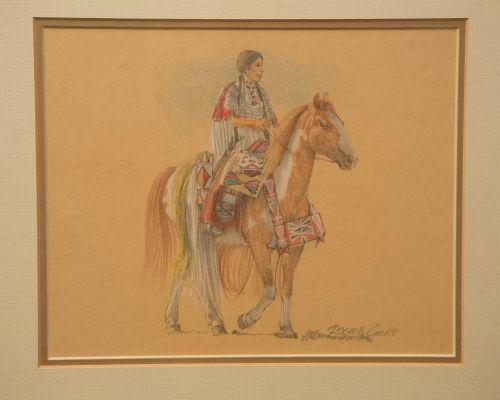 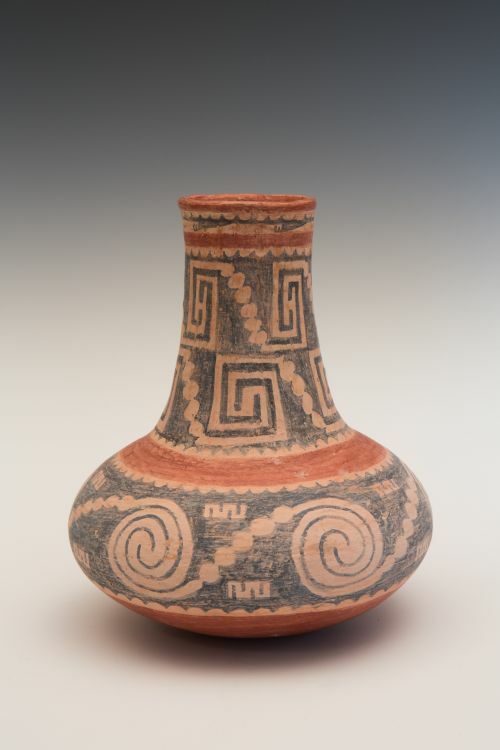 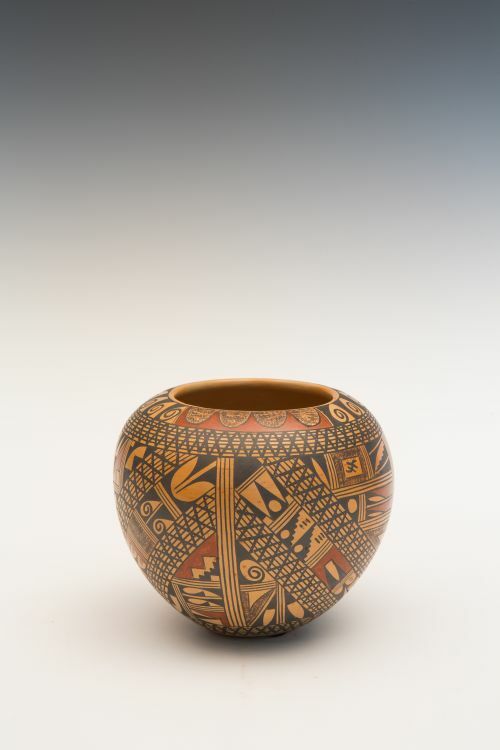 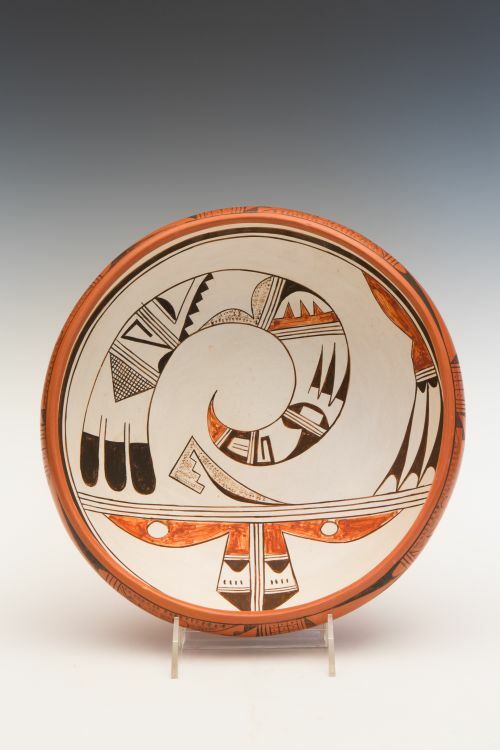 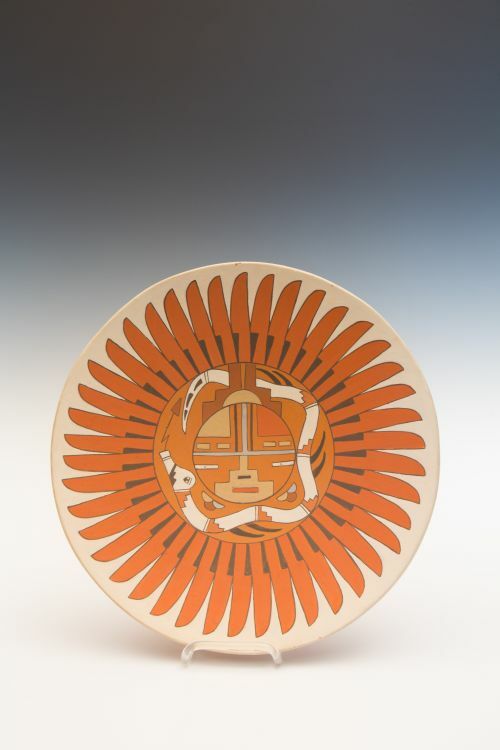 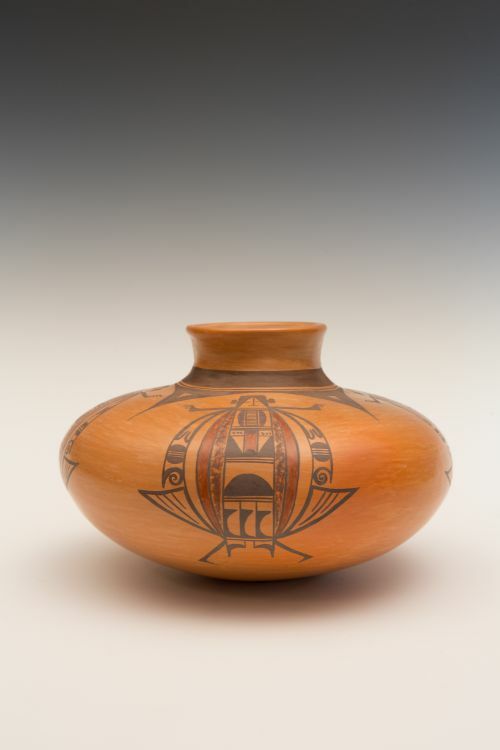 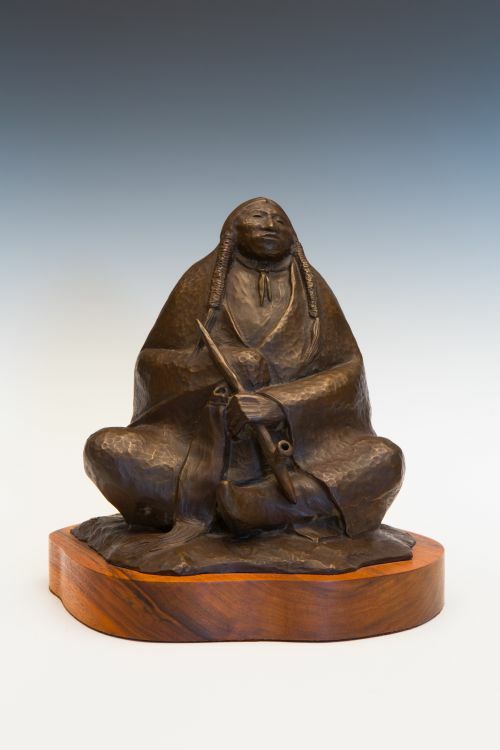 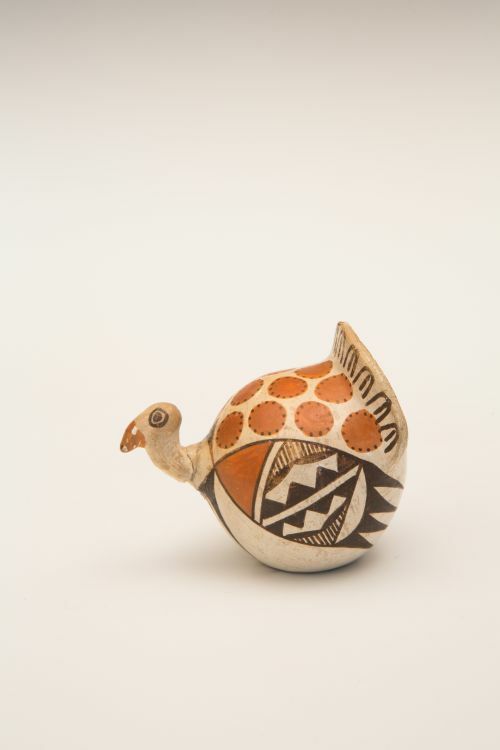 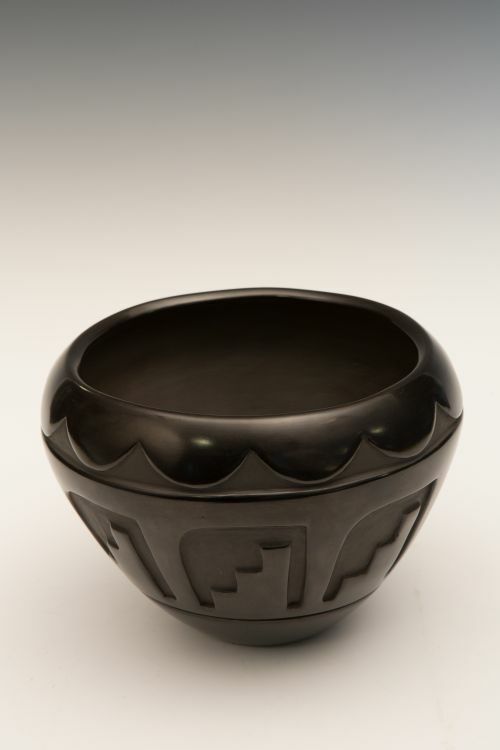 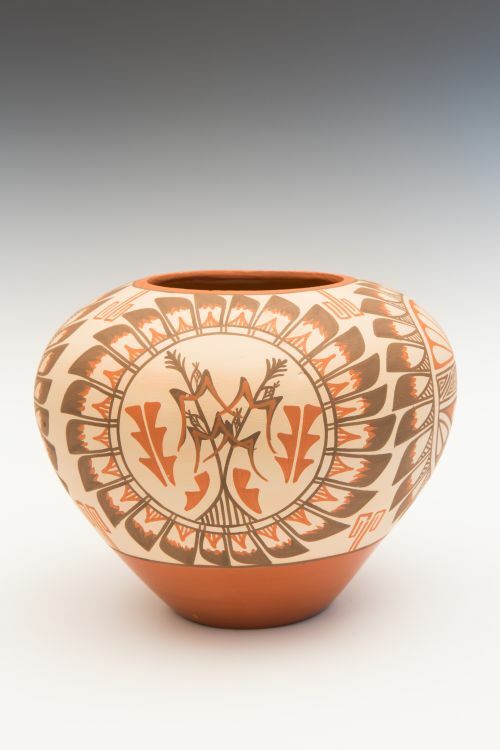 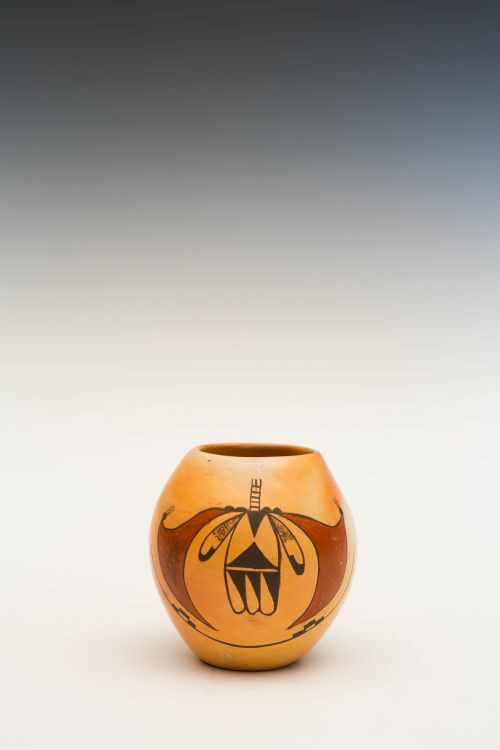 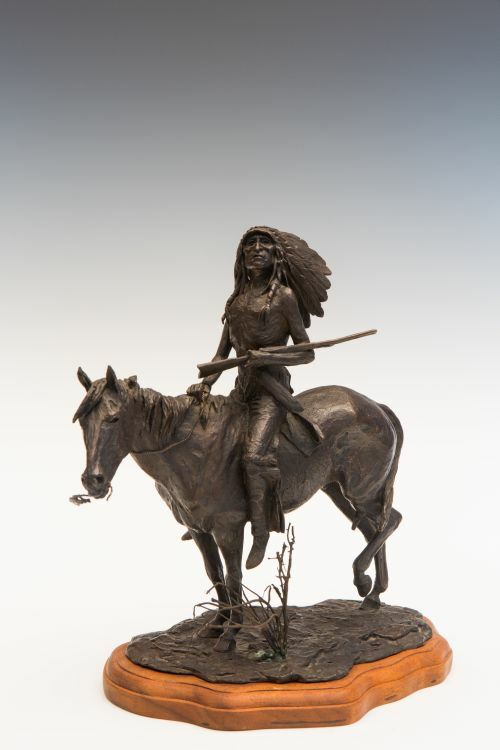 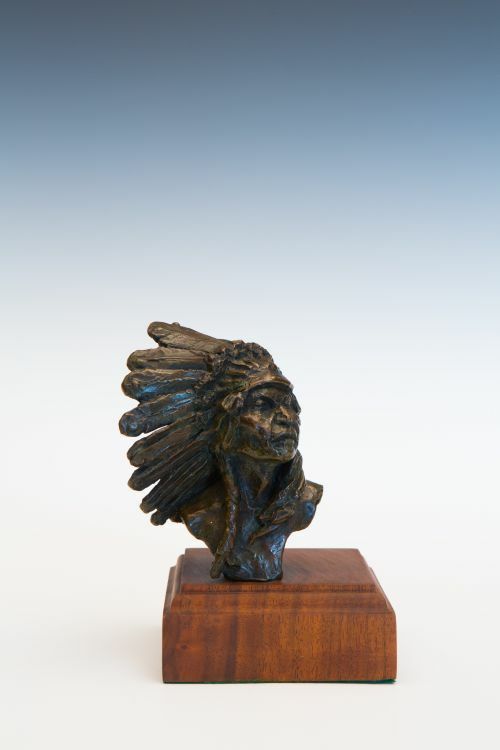 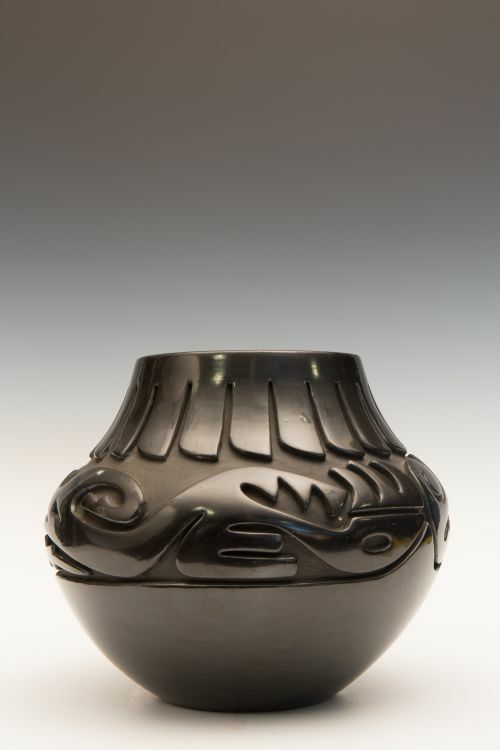 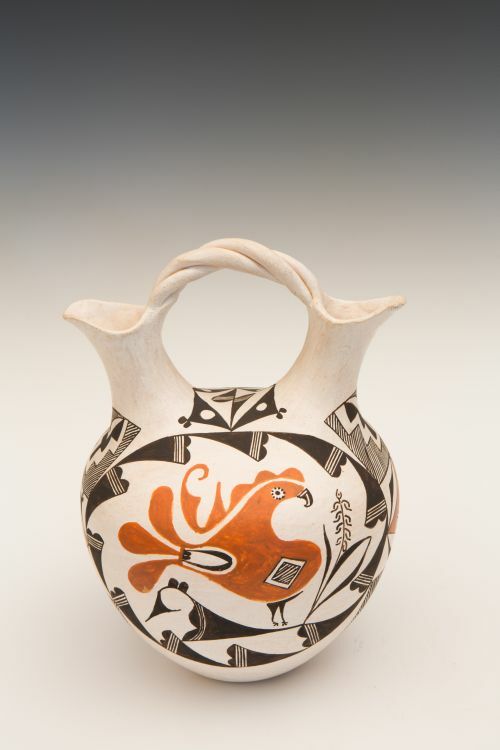 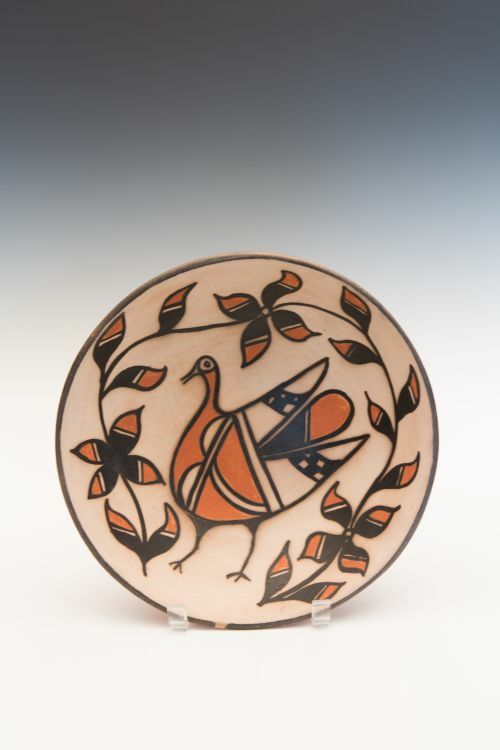 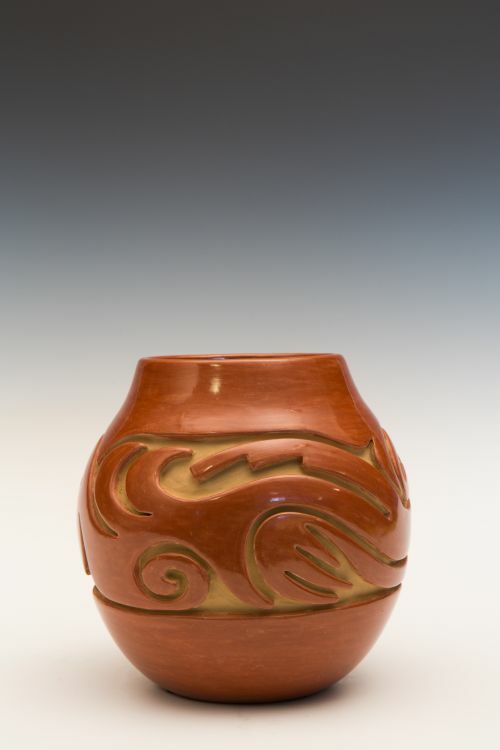 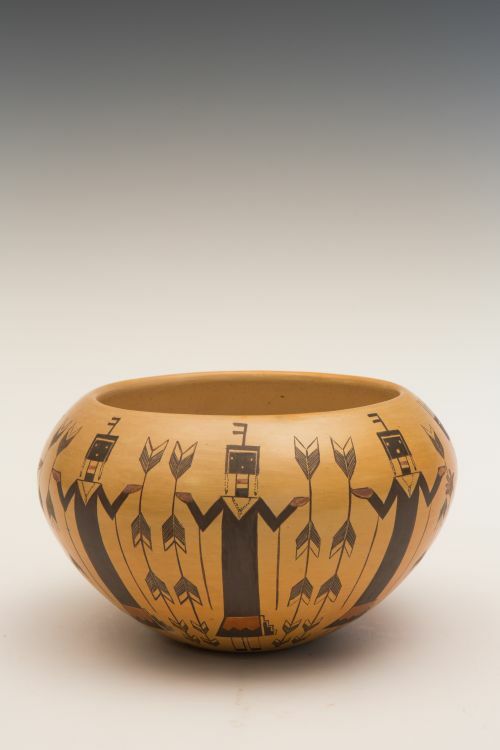 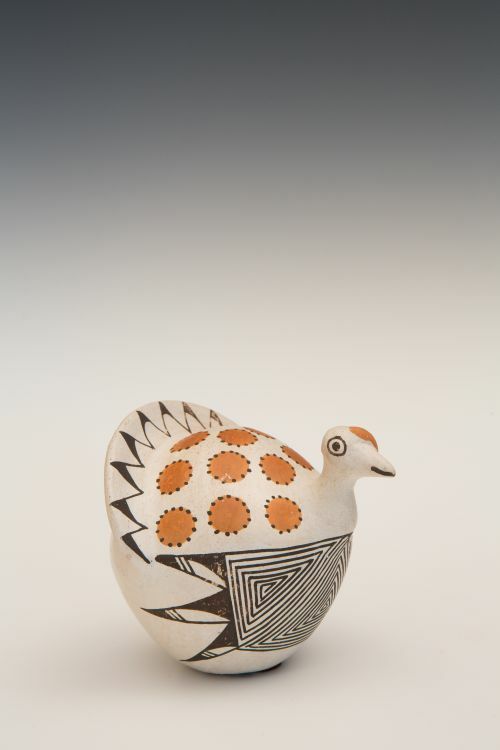 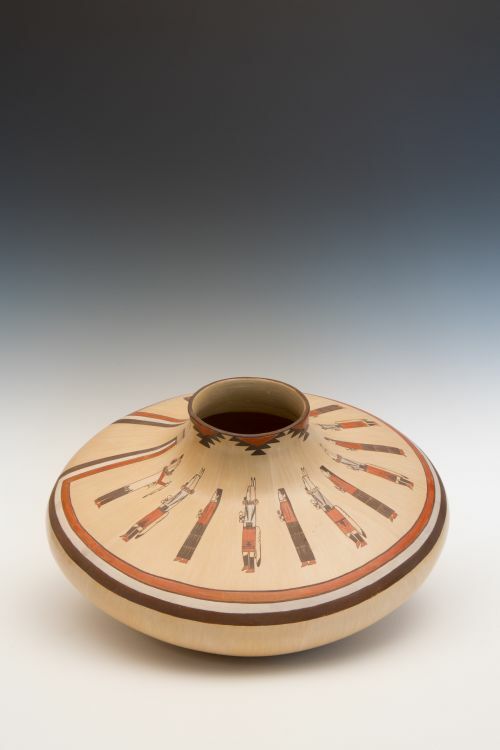 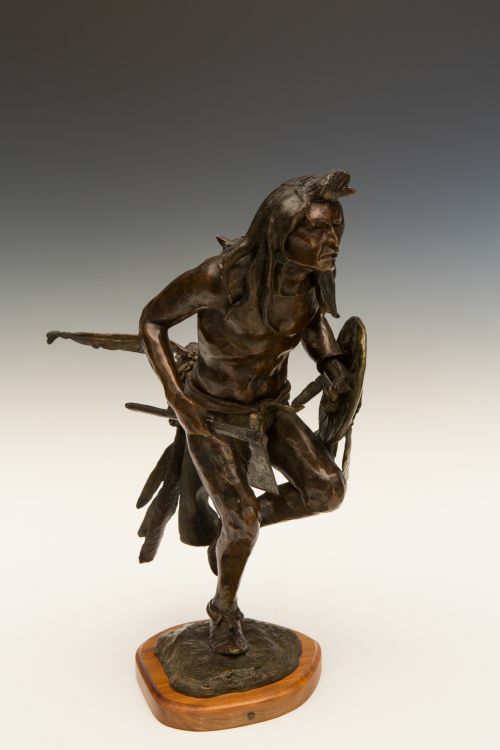 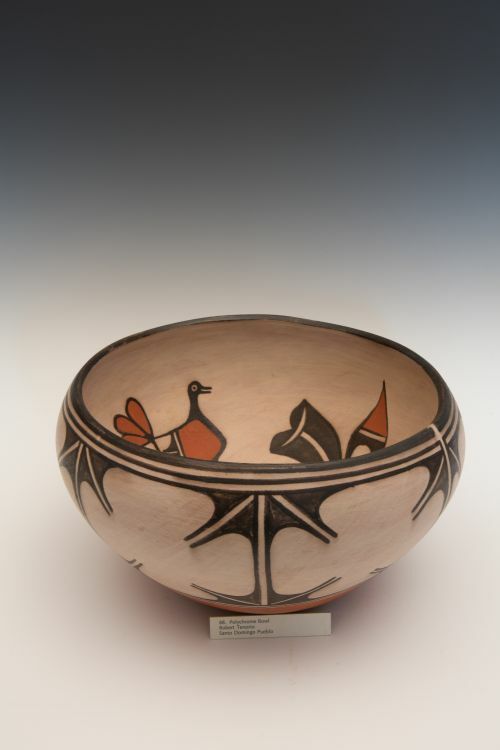 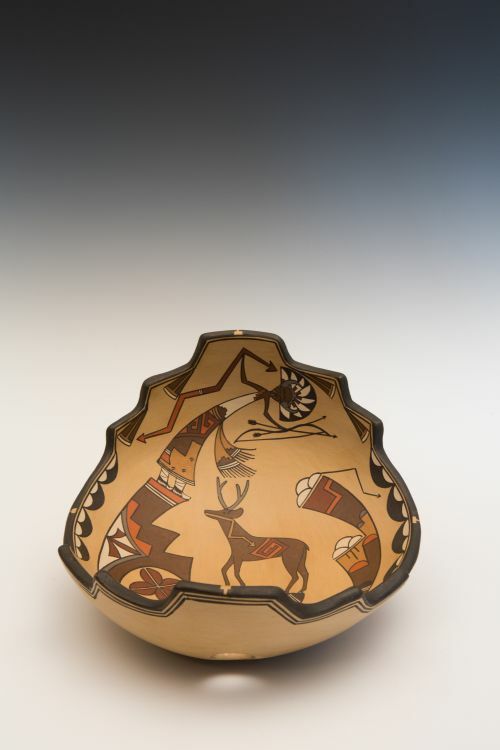 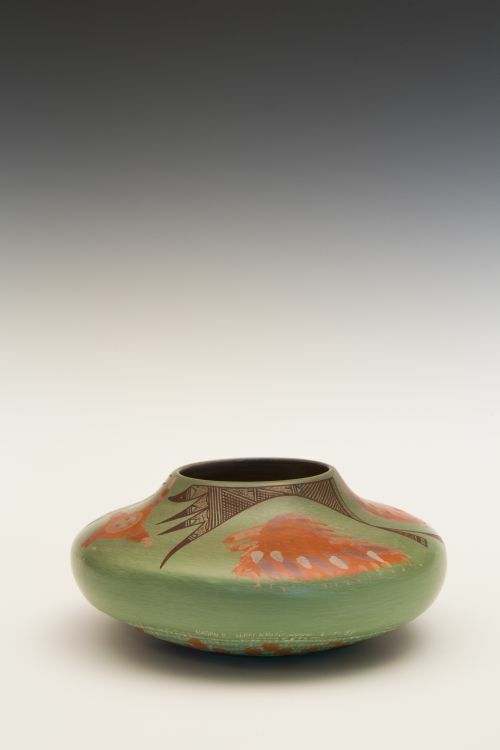 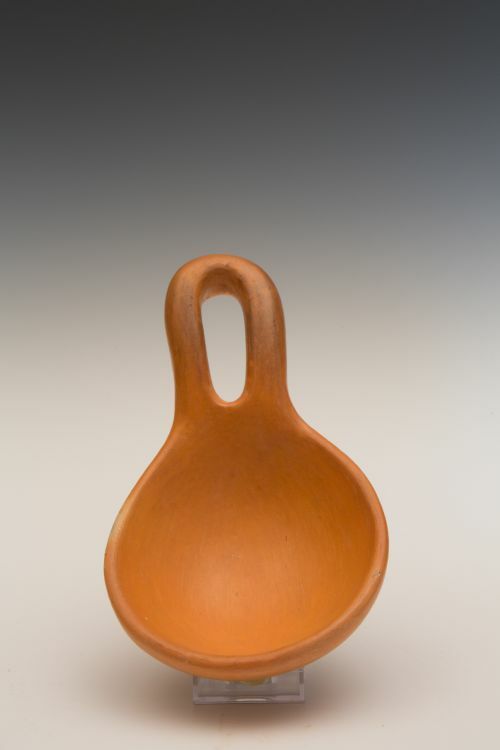 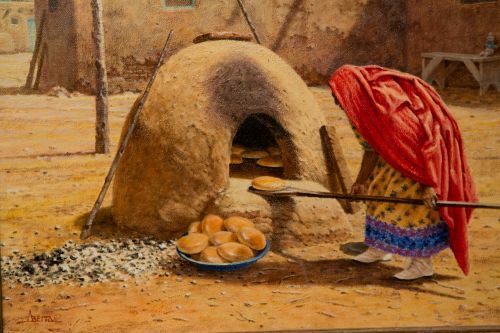 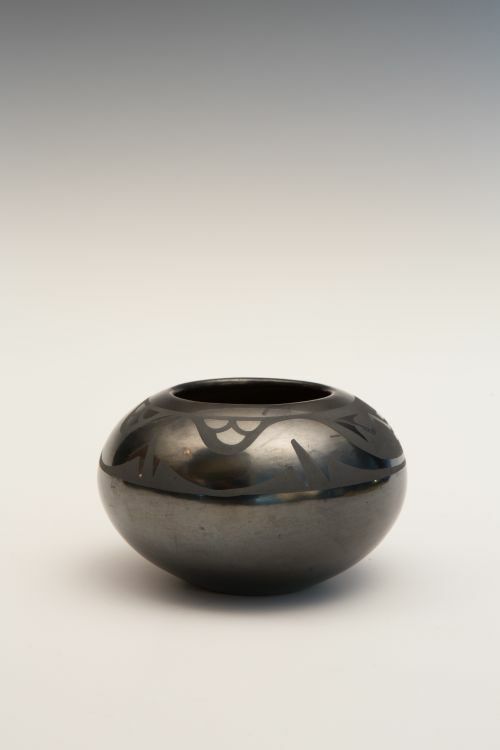 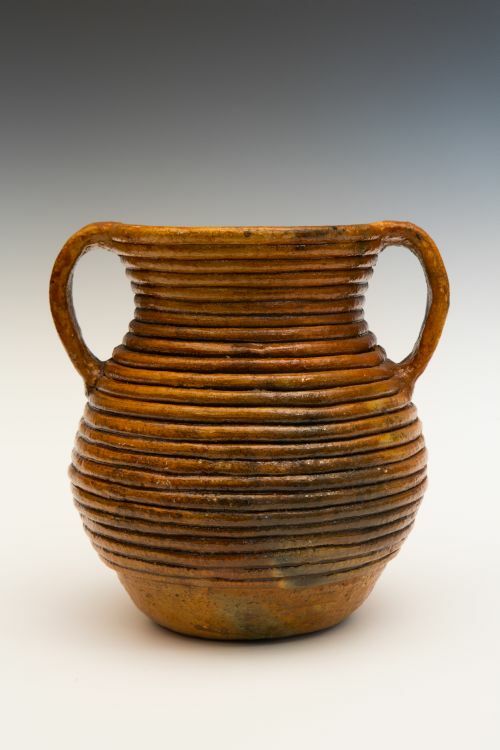 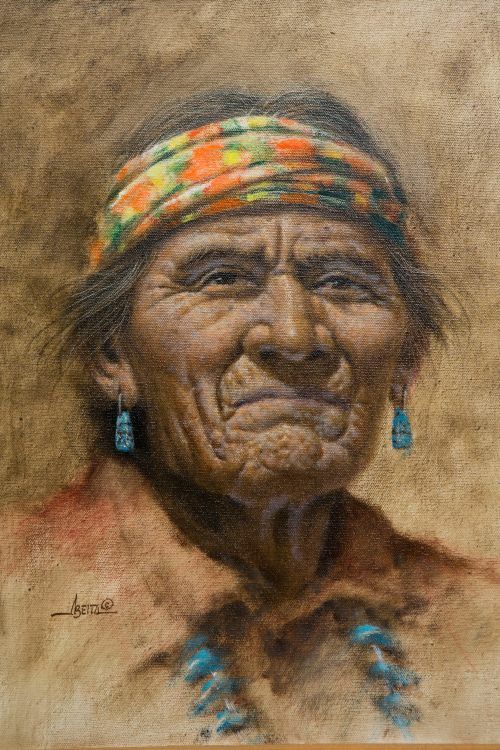 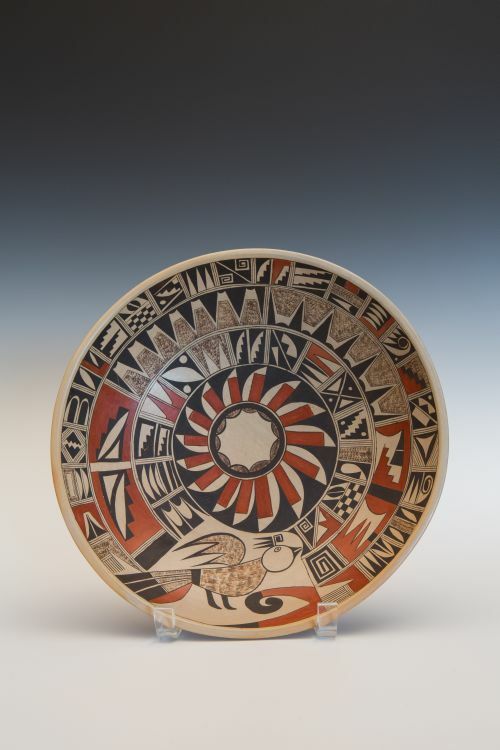 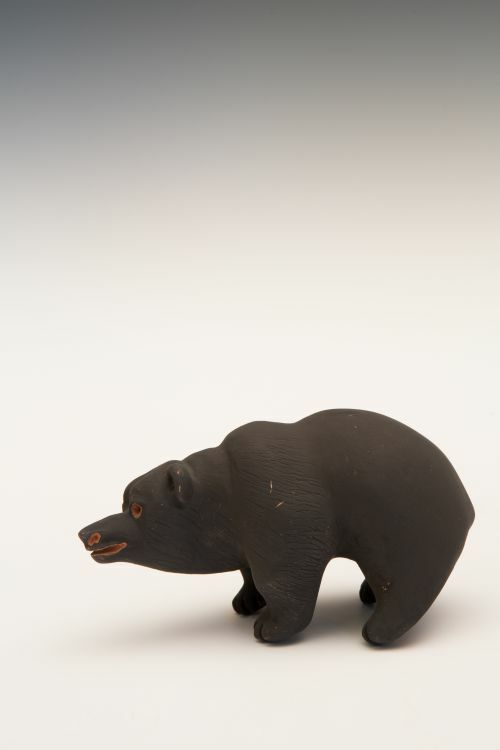 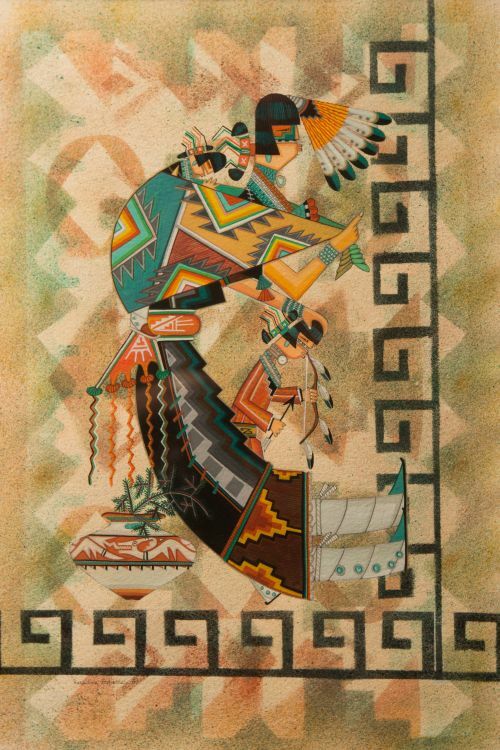 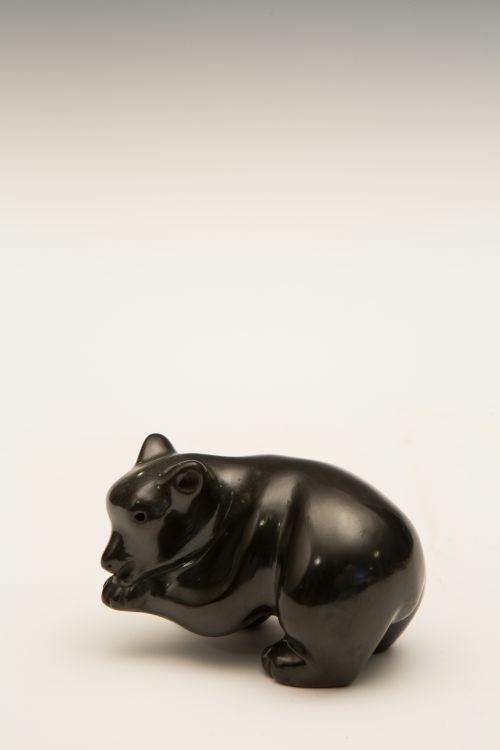 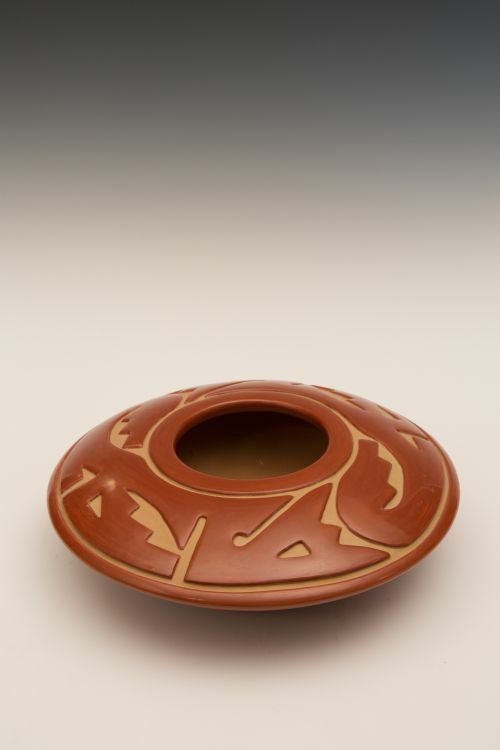 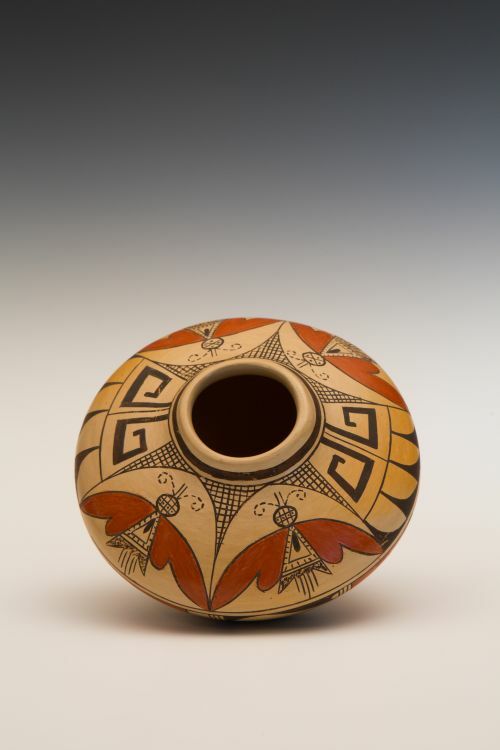 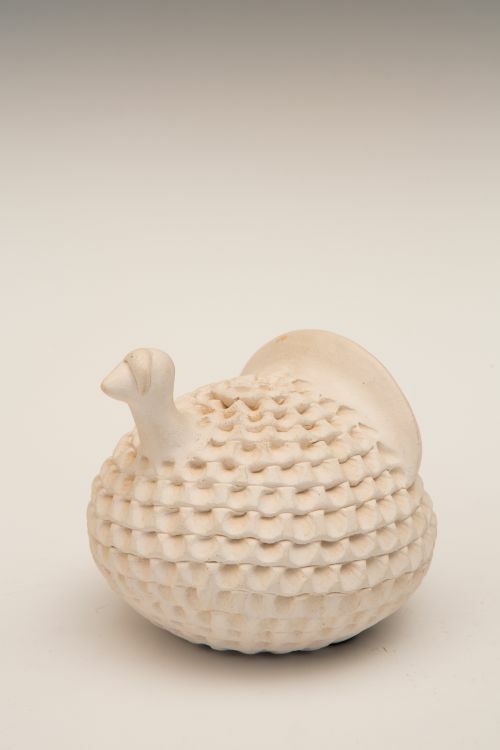 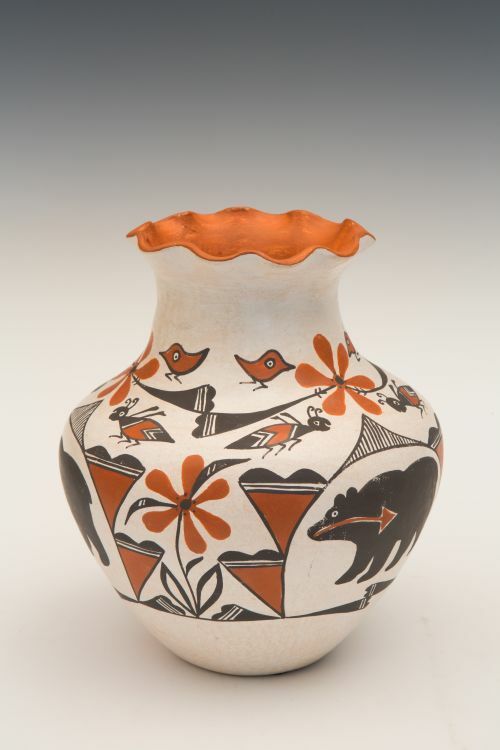 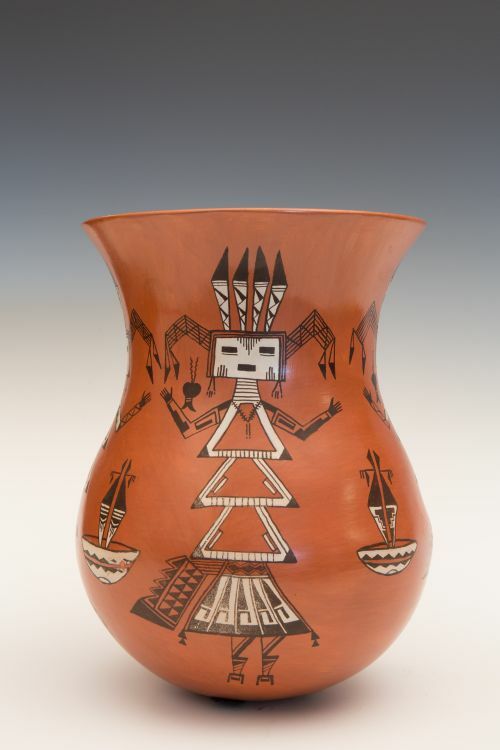 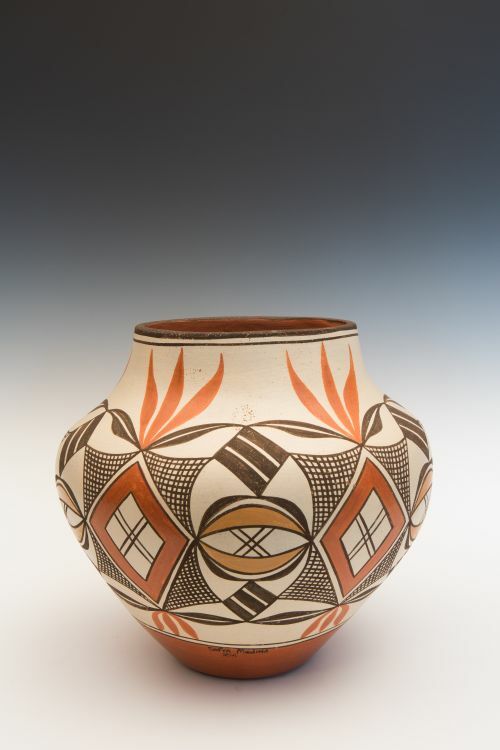 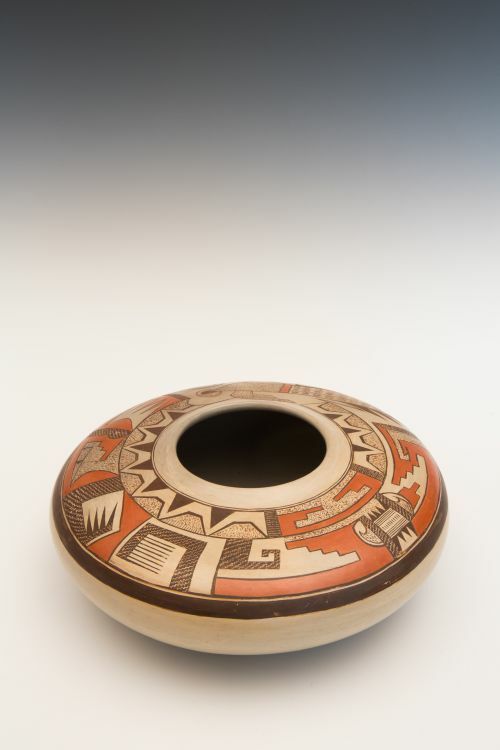 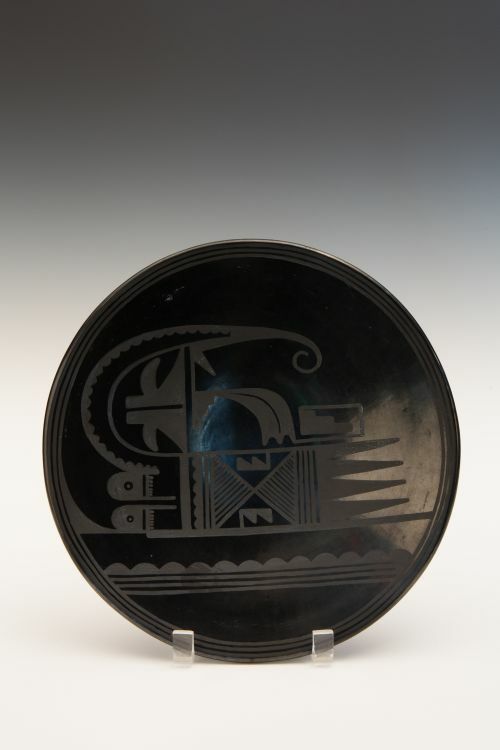 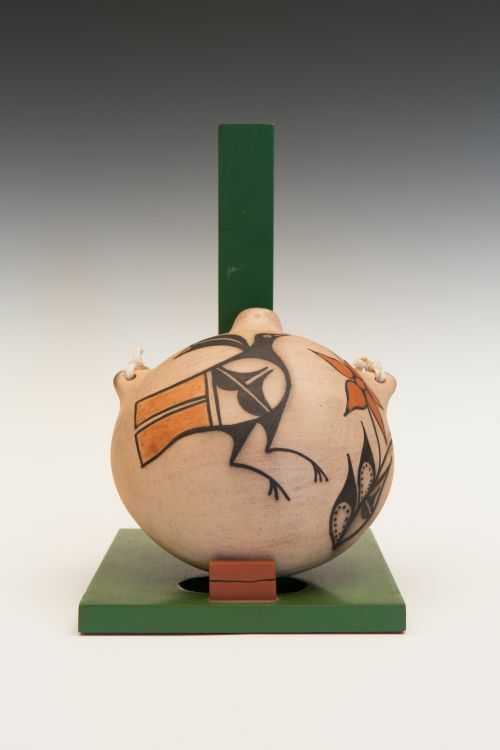 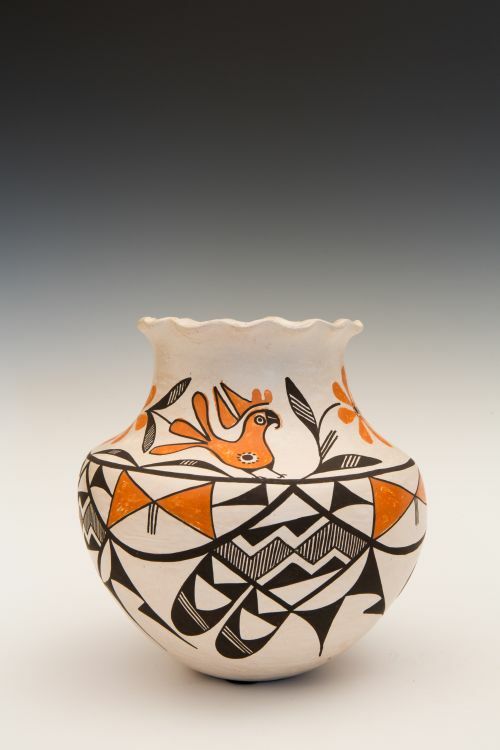 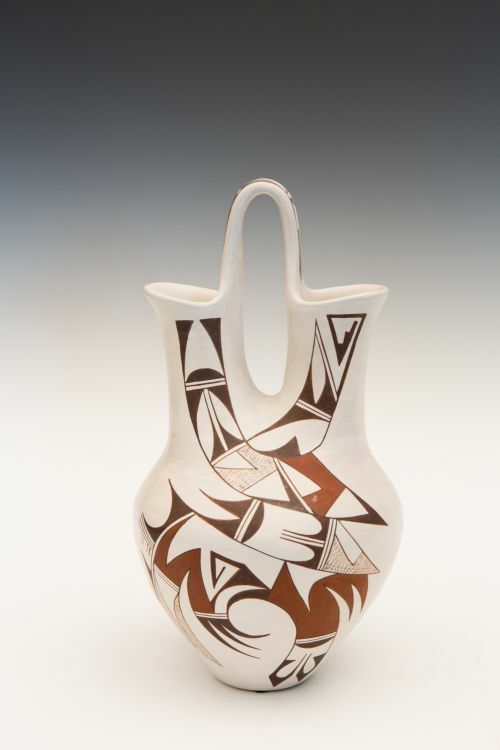 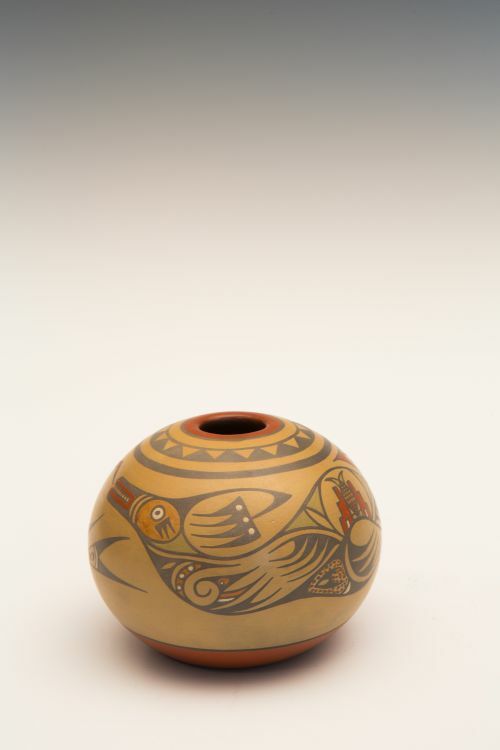 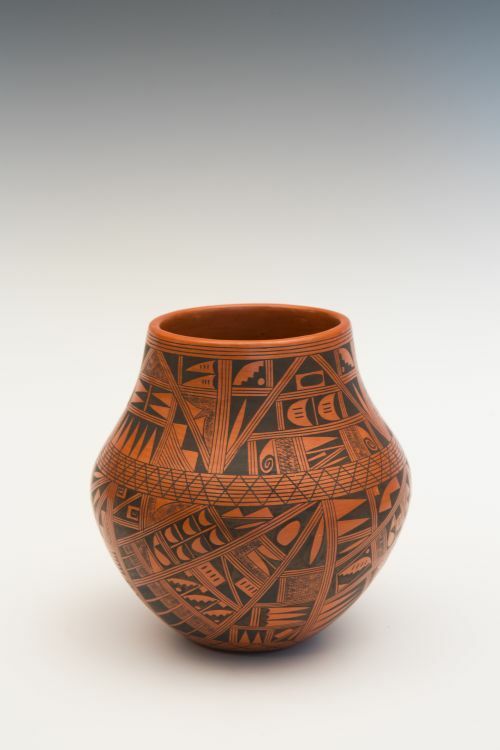 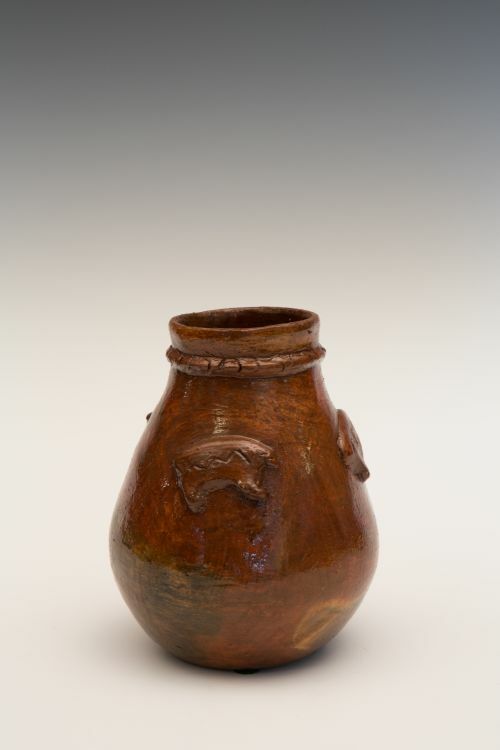 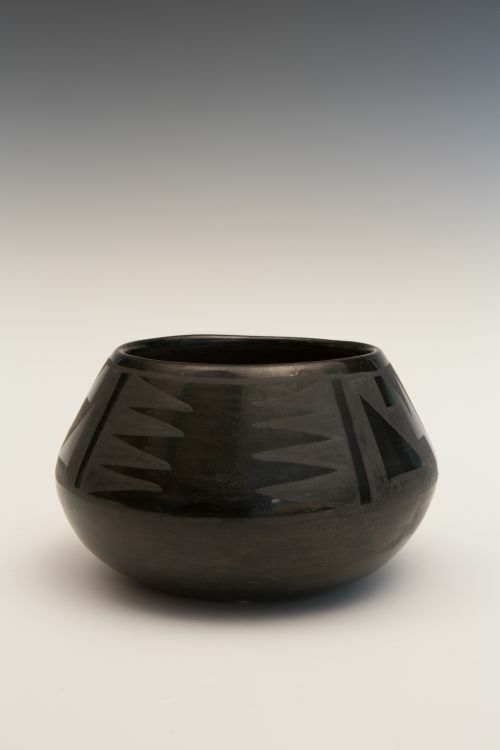 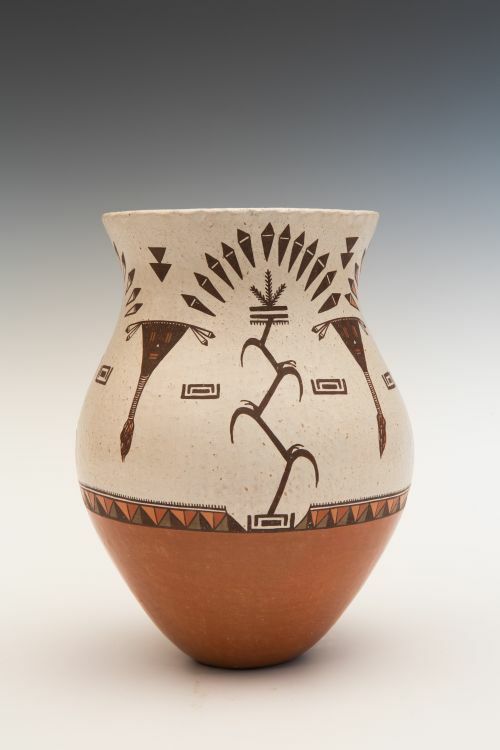 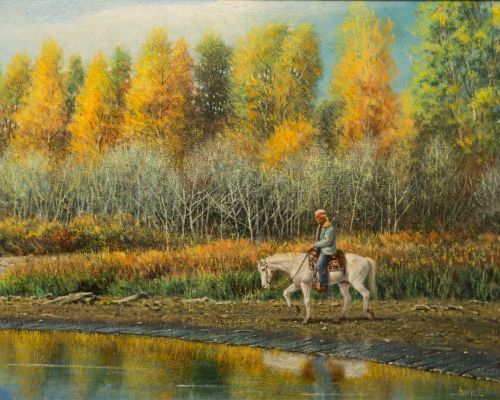 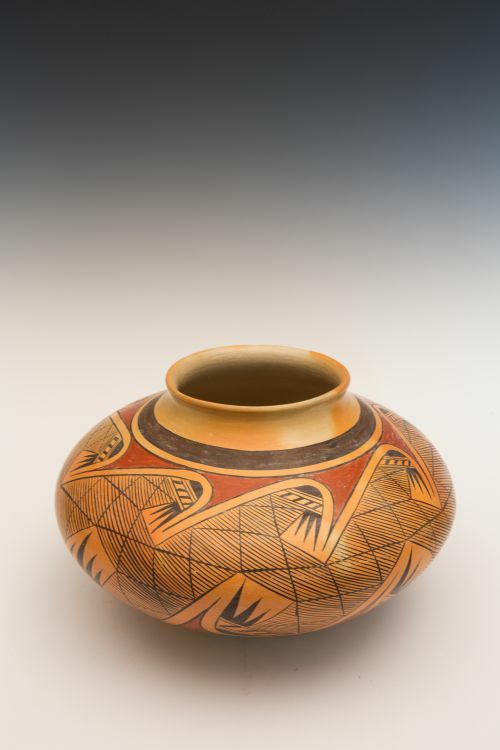 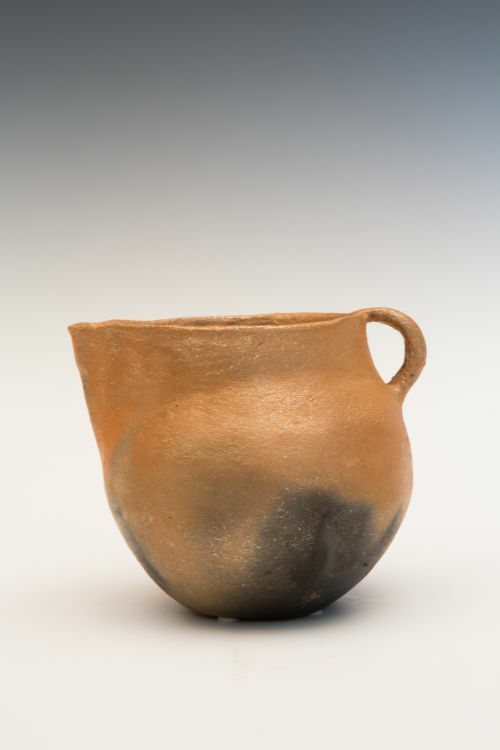 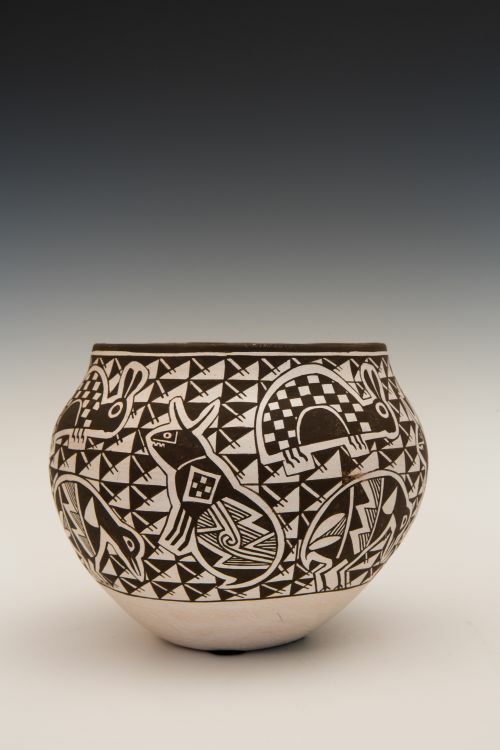 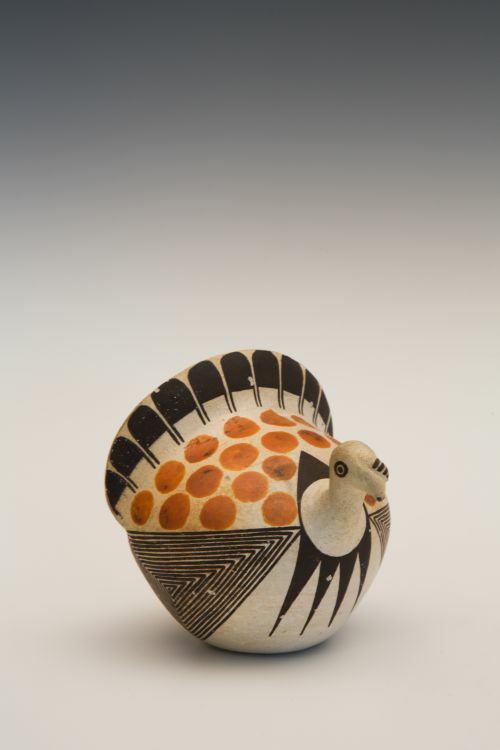 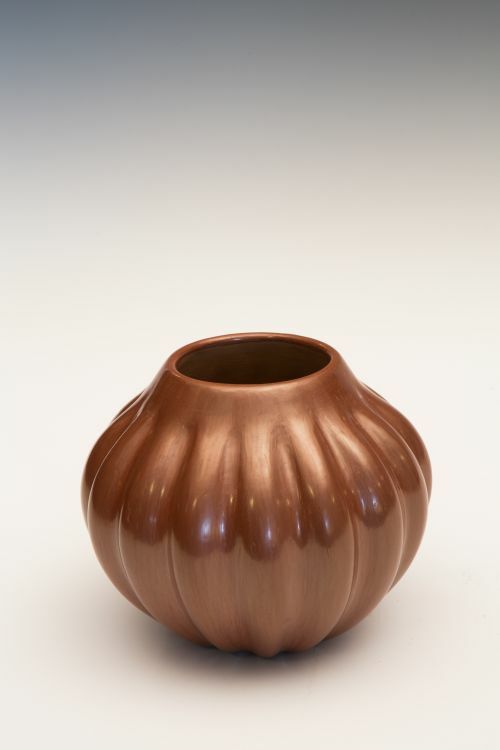 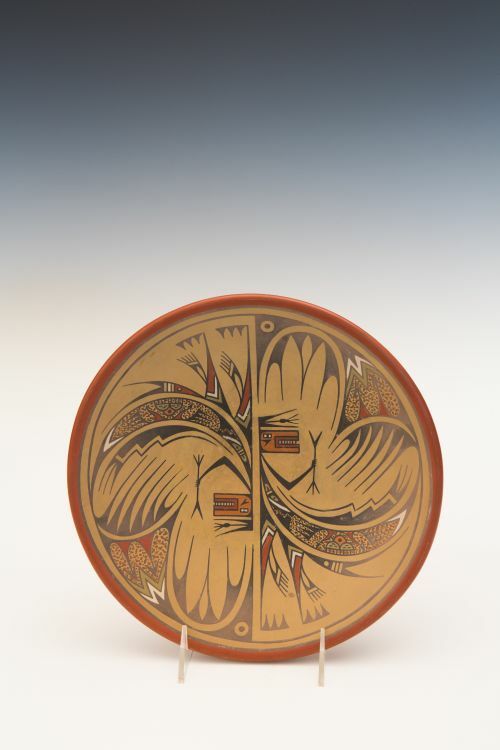 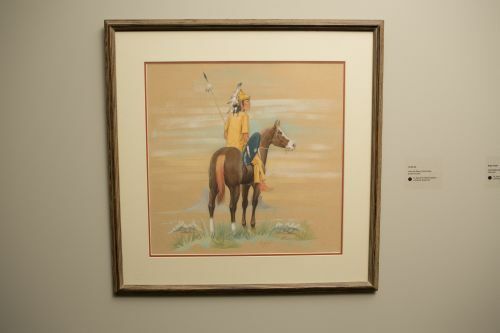 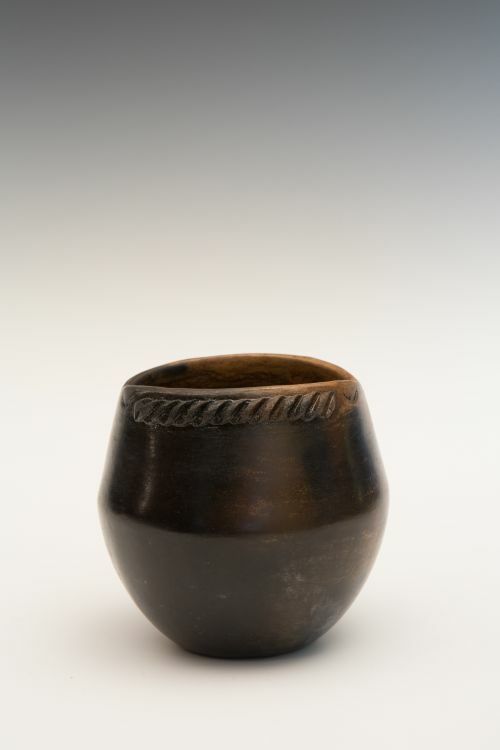 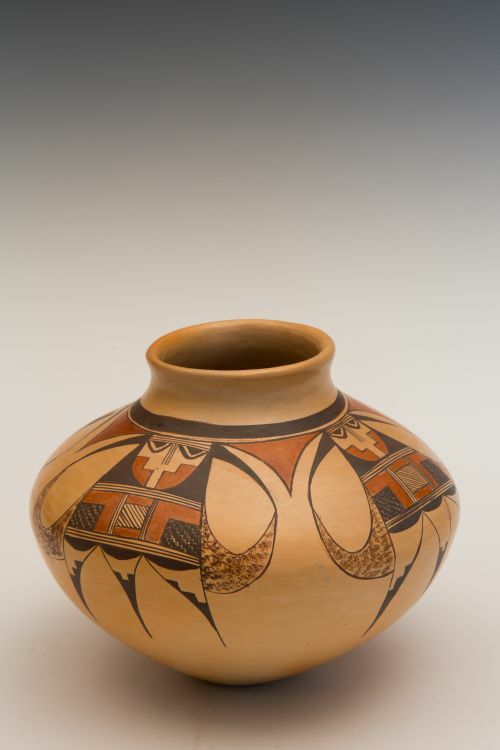 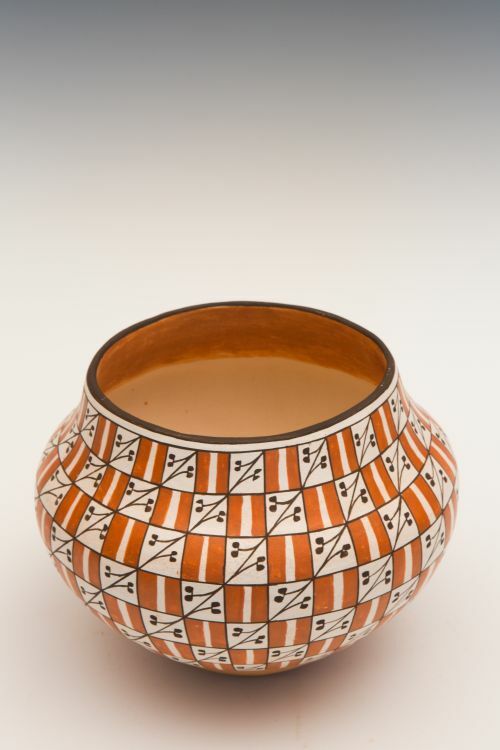 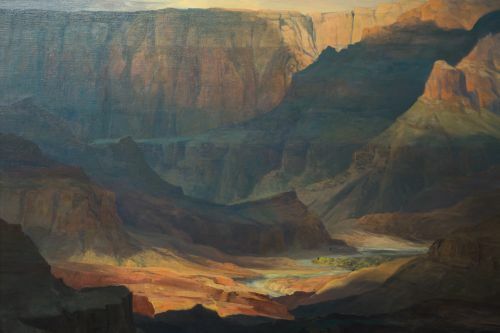 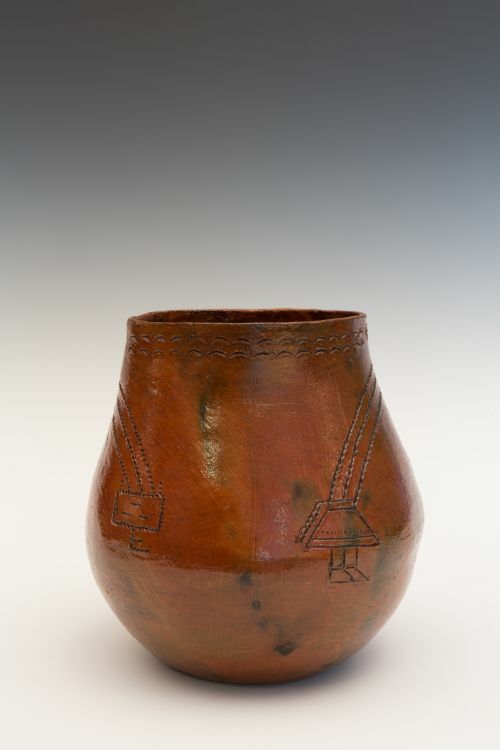 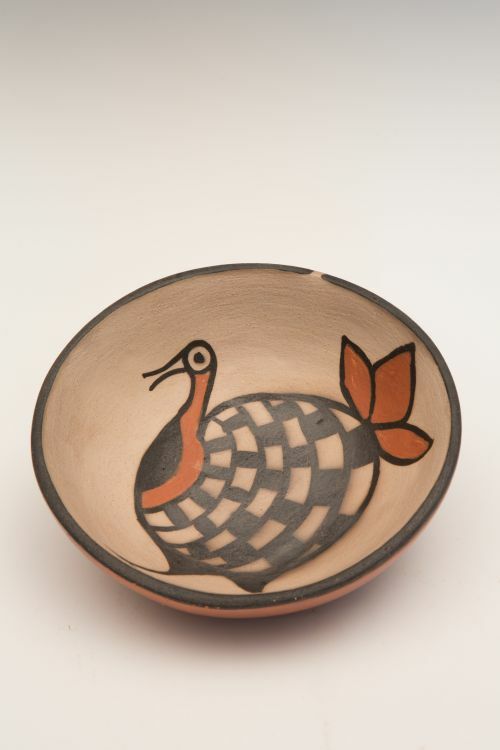 The popularity of Pueblo pottery beginning in the 1970s resulted in many Pueblo women returning to pottery and finding new ideas and innovations to help distinguish their pottery in the ever-burgeoning market.